Why I love this place – I love Greece for its climate and food, and the islands remain a firm favourite with luxury travellers. Crete has a very relaxed feel and the town of Elounda is home to some of the finest hotels and rental properties on the island. It is also a very special place to see the sun rise. 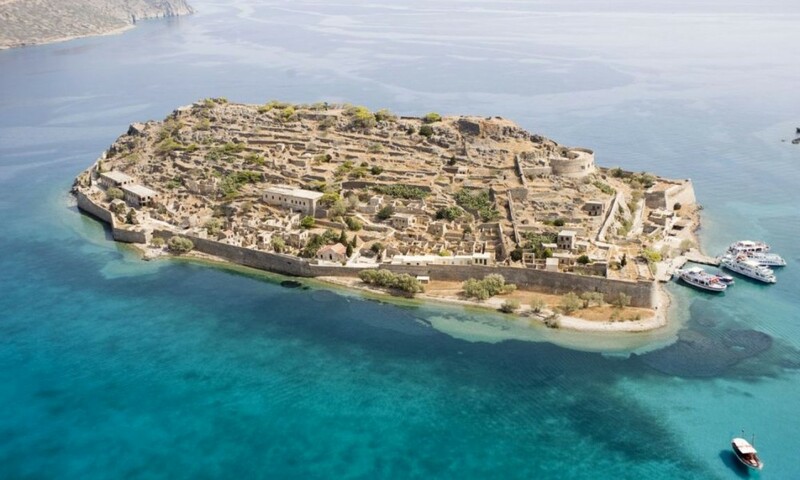 *Top attraction* – The most popular immediate attraction of note is the picturesque island of Spinalonga which you can visit by boat – it was once a leper colony but is now in ruins. 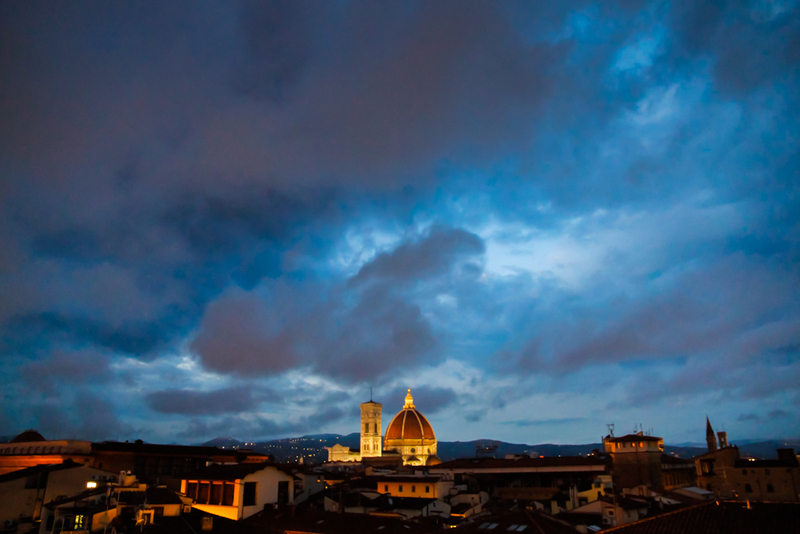 Why I love this place – I’ve returned to Florence every year for 25 years. I love it for all of the clichéd things: the Duomo; the history; the art; the twisting, cobblestoned streets; and the afternoon light. But I especially love being able to feel the history when I walk around at sunrise and have the city to myself. Magical! *Top Attraction* – Watching the sunset from Piazzale Michelangelo. Time of year visited – I’ve visited in July – about 10 years ago – and in November last year. 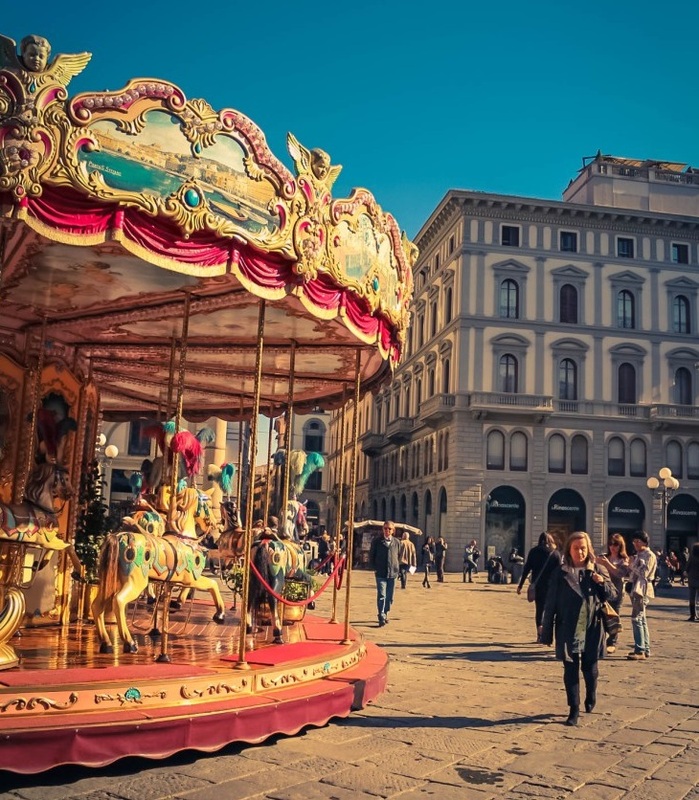 Why I love this place – Florence is an intoxicating potion of beauty, culture and history. Walk amongst its streets and you’re walking in the footsteps of some of the most famous people in history; people who’ve reinvented art, innovated thought and changed the way human beings related to the world. Its buildings and art are the very best examples of the Renaissance, and cover the city like a tapestry – so it’s impossible not to stumble upon another piece of incredible artistry as you explore. Added to that is the warm Italian sun, the heady Italian spirit, and the wonderful Italian food. Bellisimo! *Top Attraction* – I challenge anyone not to be awe-struck by Il Duomo di Firenze – the city’s green and white-striped Cathedral. I’d also recommend The Palazzo Medici – home to the family that ruled Florence for generations, and the Church of Santa Croce – where so many of Florence’s most famous residents are buried. *Top Attraction* – I have a thing for churches, so my favourite spot is the Chiesa di Sant’Ignazio di Loyola. It’s right in the heart of Rome’s historic centre and has the most beautiful ceiling covered in trompe l’oeil frescoes – I actually prefer it to the Sistine Chapel! Why I love this place – There’s something very special about Ravello and the Amalfi Coast – the light is incredible, the views from the hillside towards the Mediterranean Sea are unbeatable and the whole place feels remarkably unspoilt, considering how popular it is. 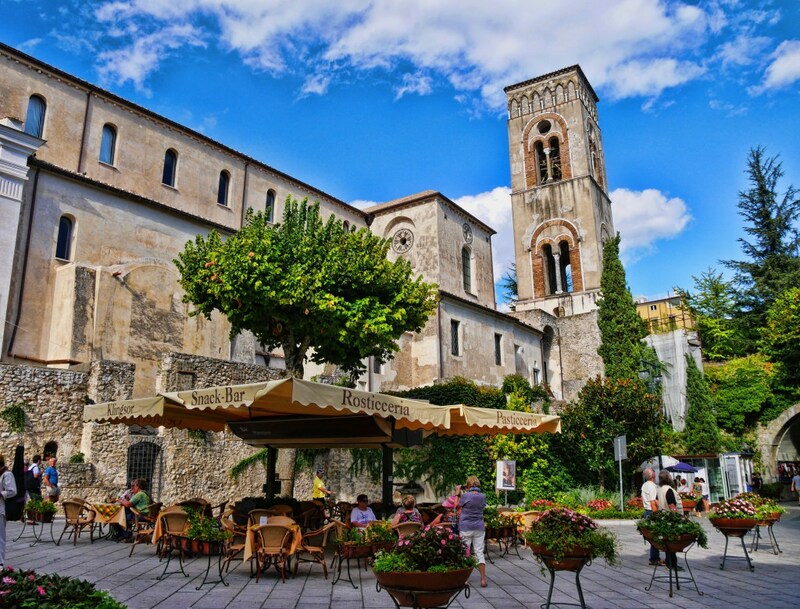 The cafes and restaurants of the village square are the perfect place to while away an afternoon. *Top Attraction* – The gardens of Villa Cimbrone are spectacular, with a breathtaking Terrace of Infinity overlooking the coastline. Designed by Lord Grimthorpe who also designed Big Ben, they’re an enchanting oasis that you should not miss if visiting the Amalfi Coast. Time of year visited – I live in Paris and love each of the seasons. However, spring is special because the flowers are beginning to bloom and the general mood of the city is effervescent. Why I love this place – The first time I visited Paris it felt like home. I can’t explain how this small-town Texan girl forged such a bond with the City of Light, but Paris somehow settles my restless soul. Long walks and getting lost are my favourite things, as I always discover something new, whether it’s a building edifice or an almost invisible passage. The church bells, metro brakes, and police sirens are the soundtrack of my life. And the French, I can’t understand most of what they say, but I don’t need to speak the language to understand their joie de vivre. 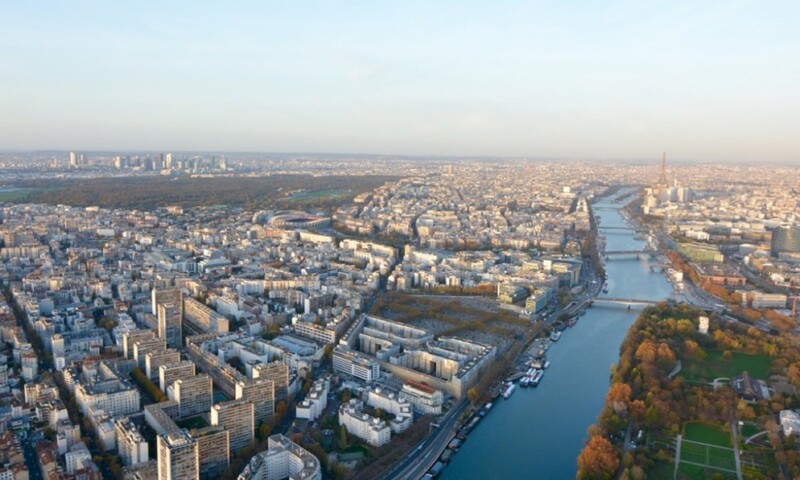 *Top Attraction* – I feel like much of the essence of Paris is along the Seine, and my favourite walk is from Pont Alexandre III to Notre Dame. So many of Paris’ treasures are seen on this path: Place de la Concorde, Les Invalides, Tuileries, Assemblée Nationale, Musée d’Orsay, Louvre, and Pont des Arts. It’s magical day or night. Why I love this place – Catalonia is a unique mix of Spanish and French cultures which makes it very hard not to fall in love with the region. Even though it is part of Spain, Catalonia has its own traditions, language and beliefs, delectable cuisine and unique scenery. And Barcelona, the vibrant capital of the region, is making it even more appealing for travellers from all around the world. 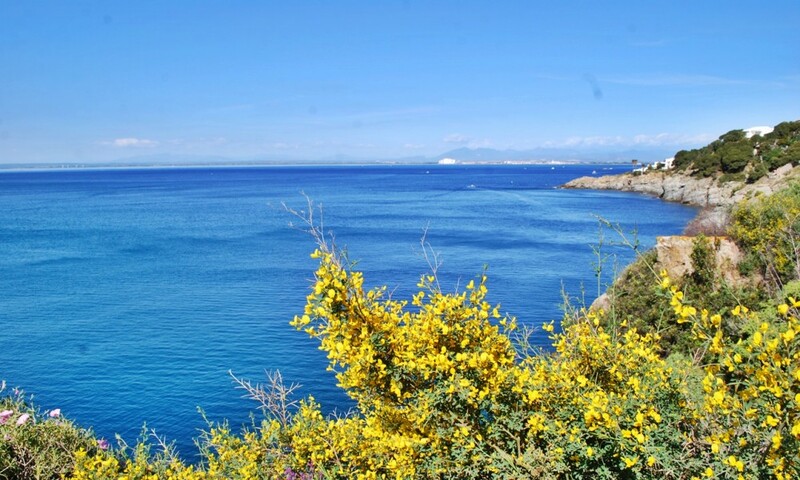 *Top Attraction* – The coastal walk not far from the little town of Roses is one of the most beautiful I’ve ever seen with breath-taking scenery and gorgeous little beaches along the way. 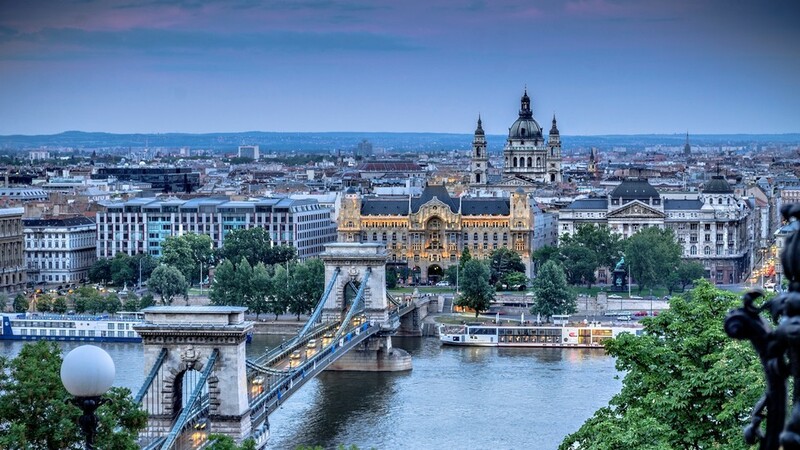 Why I love this place – Budapest is, quite literally, a city of two halves; Buda and Pest. This fact in itself made me chuckle, so you can imagine my delight at staying over in the ‘Pest’ side of town. The Jewish Quarter is vibrant, romantic and full to the brim with drool-worthy food and wine. And all at CHEAP prices, for a European city. In my opinion, Budapest is the perfect city break destination. *Top Attraction* – The Great Synagogue is absolutely stunning, and the Shoes on the Danube Bank memorial is a heartbreaking reminder of Budapest’s past. (Both are located in Pest). *Top Attraction* – One of my favourite things to do was actually sit in the central park on a Sunday and people-watch. It’s right by the main boulevard too which is great for a Sunday walk. 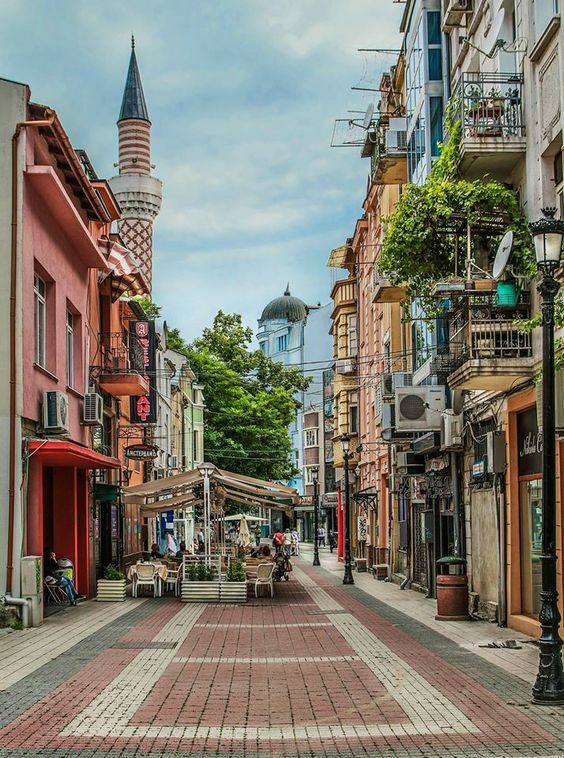 It’s the simple things that make Plovdiv special! Why I love this place – Lucerne is home to one of the most tranquil places in the world – Lake Lucerne. A short cruise around the perimeter of the lake brought me past bundles of cosy cottages scattered around the shores. It was almost reminiscent of a quiet Mediterranean town. *Top Attraction* – It’s hard to pick one so here are two- the Snaefellsnes Peninsula in West Iceland and Mývatn in North Iceland. Why I love this place – I love Iceland in general because it’s a beautiful and unique place. The landscapes are incredible all year round. I particularly like the South Coast because you can get a great feel for most of Iceland right there – lava fields, waterfalls, volcanoes, cliffs, glaciers, black sand beaches. And the lore of Iceland is alive and well on the Southern Coast! 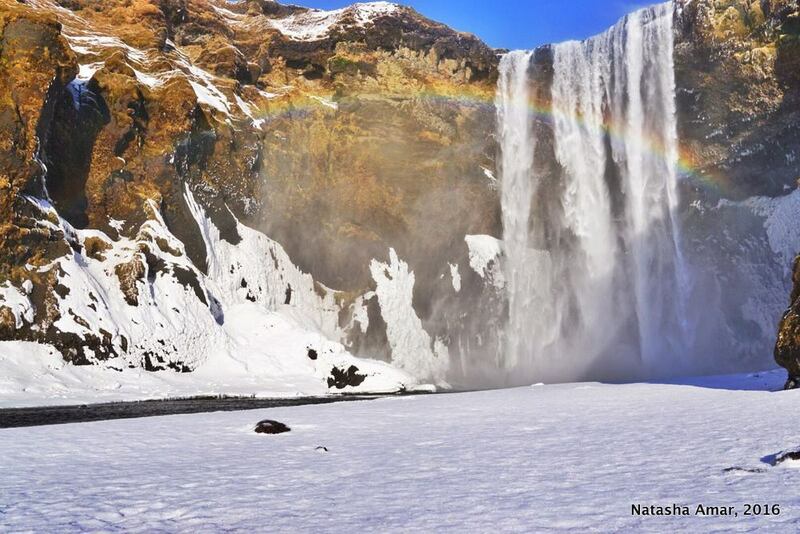 Time of year visited – We’ve been to Iceland at various times of the year spanning from July through January. 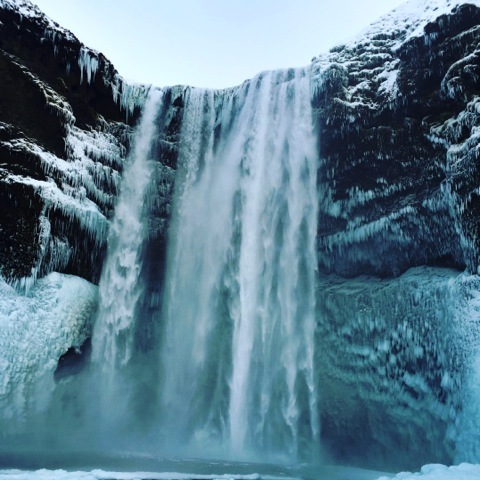 Why I love this place – We can say without hesitation that Iceland is our favourite country. For such a small island nation, Iceland has incredibly varied landscapes and you seriously want to stop and photograph it around every bend. 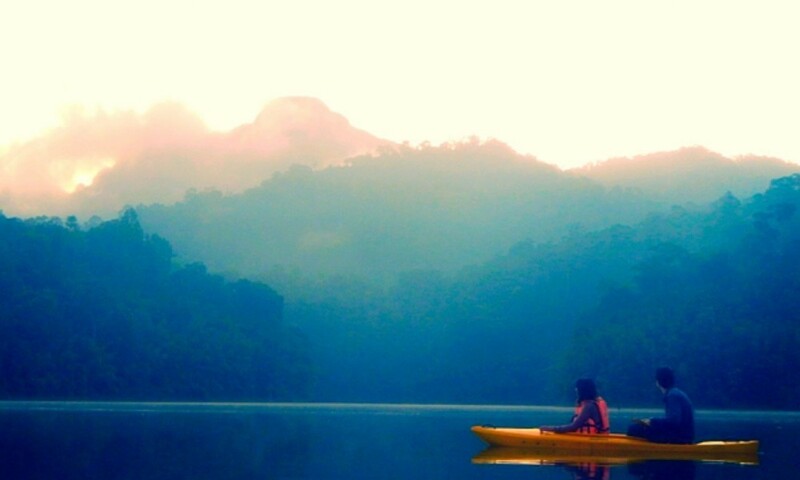 There’s a lot to do for an adventure couple like us with everything from hiking to snorkelling between the continents. 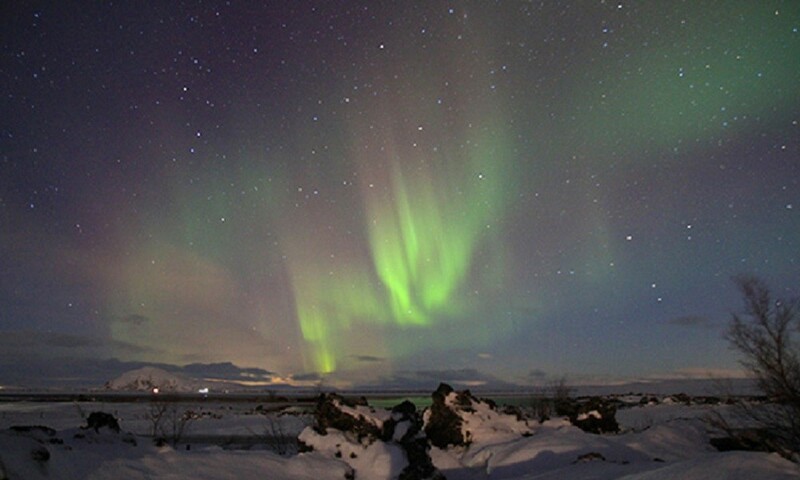 Plus, we’re a bit obsessed with chasing the Northern Lights and we’ve had a fair amount of luck seeing them in Iceland. *Top Attraction* – Only 2% of visitors to Iceland actually make the trek out to the Westfjords. We spent some time exploring there and it is one of our favourite regions of Iceland. If we had to pick just one thing to do in the Westfjords, don’t miss out on a kayak excursion to Vigur Island. Why I love this place – Major redevelopment projects means you can rent luxuriously renovated apartments in the middle of the old city on every corner! I loved getting up early to explore the art district, followed by a delicious breakfast in one of the many cafés or restaurants that are tastefully decorated with a fusion of traditional & quirky contemporary design. Later I would wander down to the banks of the Douro and enjoy a glass of Port while reading a good book in the sun. 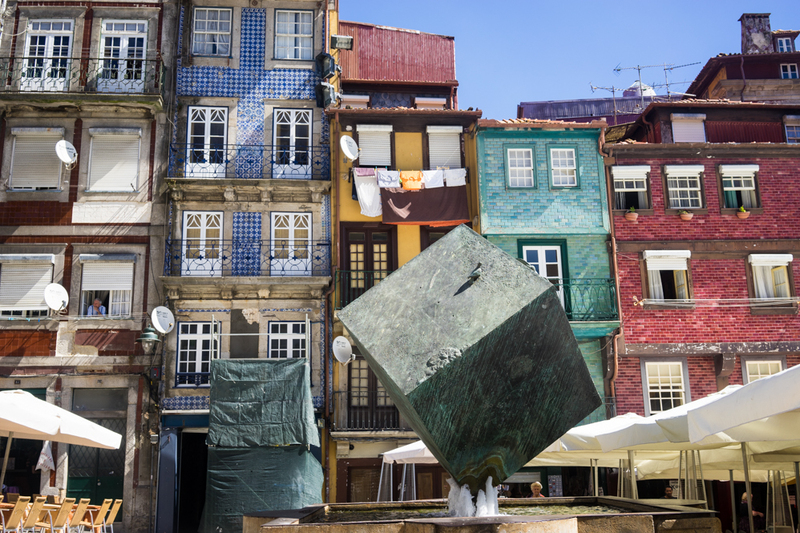 *Top Attraction* – The area in and around Rua da Conceição & Travessa de Cedofeita is packed with art galleries, vintage concept stores and little taverns showcasing the famous azulejos. 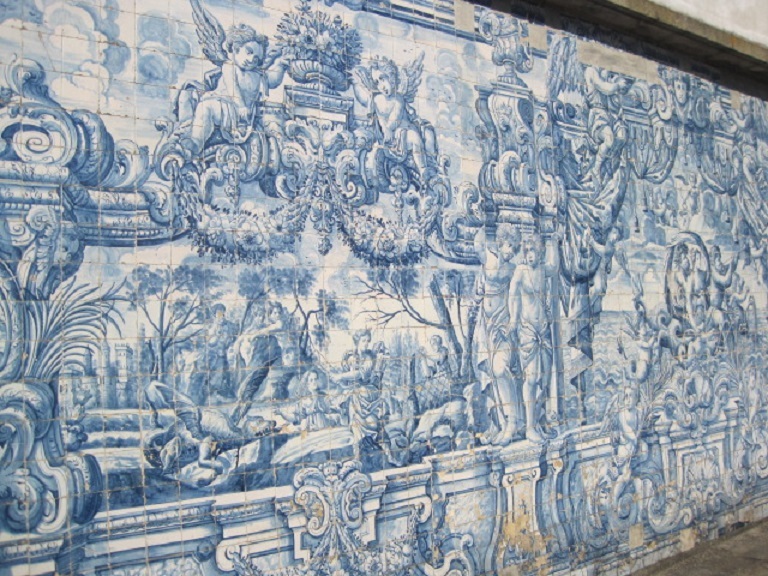 Why I love this place – If you’ve ever been to Portugal, you’ll know that many of the buildings are clad in sumptuous blue and white tiles known as azulejos. The city of Porto embodies this, from Sao Bento railway station to the cloisters of the Cathedral. Rattle on a tram to seaside sophistication, or glide overhead in a cable car, then sip at port in the famed wine lodges. *Top Attraction* – If you really want to lose your heart to this city, take a boat along the River Douro in springtime. The almond blossom, and terraces of vines, will beguile you. Why I love this place – I have been coming here since I was a small child. I just love the people (they all speak English), the food (cheese, fish and great wines), the buildings (a lot of them very colourful and decorated with “azulejos”) and the light which is very particular and I haven’t seen it elsewhere. 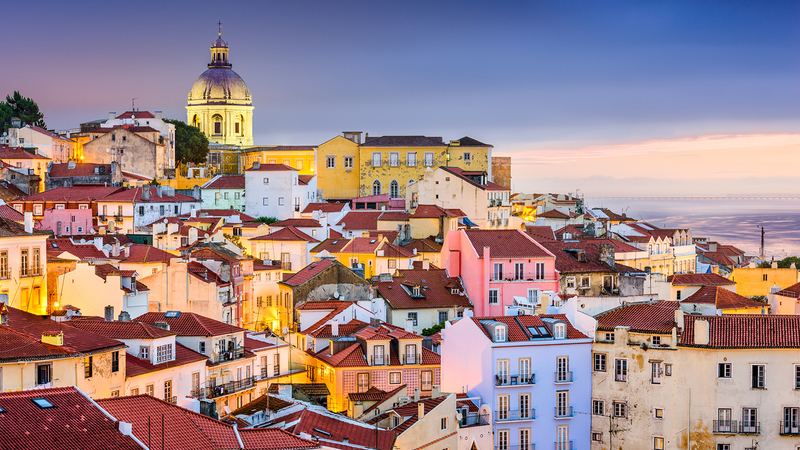 *Top Attraction* – Have a late lunch in one of the local restaurants in Alfama, stroll around afterwards and experience the magic when the sun sets and you can hear Fado being sung. Why I love this place – Having lived here for over 30 years, I still discover new places and things to do. I love the culture and history of the city. You can easily spend a day walking the city, from the beautiful parks and garden squares to theatres, museums and coffee shops. Not to forget the breathtaking views. Three of my favourite are views of the Parliament building, the London Eye and the Shard across the river. *Top Attraction* – Walking around Covent Garden on a summers day and enjoying a local afternoon tea. *Top Attraction* – A big draw for tourists is the opportunity to watch local fishermen feed the sharks they share the waters with. Fortunately, there hasn’t been a shark attack in Fiji for over 40 years, and this shark-feeding tradition has been attributed to the thriving marine life in the area. Why I love this place – Kyoto City has the perfect juxtaposition of old and new. You can walk from a high-end shopping area with luxury stores down to streets that haven’t changed their faces since the 1700s. 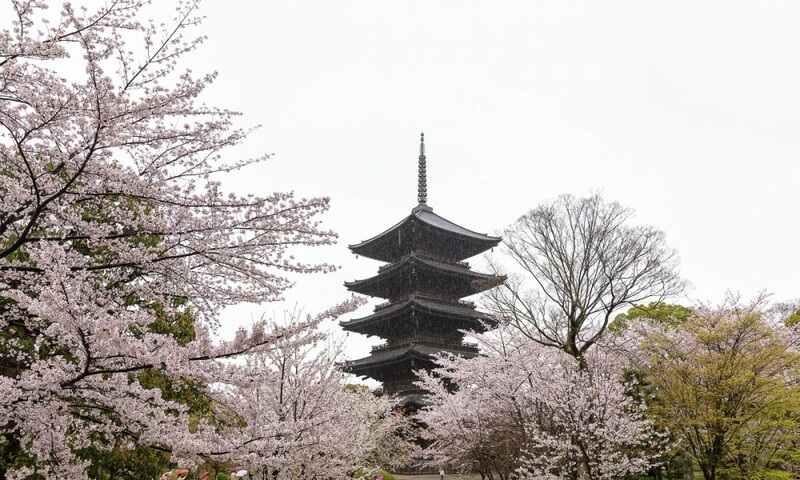 Beautiful temples abound, and the entire area is well-connected by rail so you can easily visit further shrines and sites of interest in nearby areas. Kyoto is known in Japan for its delicious kaiseki (haute cuisine). *Top Attraction* – I loved the Arashiyama area, known for its picturesque bamboo forest and rickshaw drivers. While wandering the calm paths through the trees, I bumped into a geisha in full dress! Rhonda & Mike | Travel? Yes Please! Why I love this place – Japan instantly captured my heart and quickly became one of my favourite places to visit. 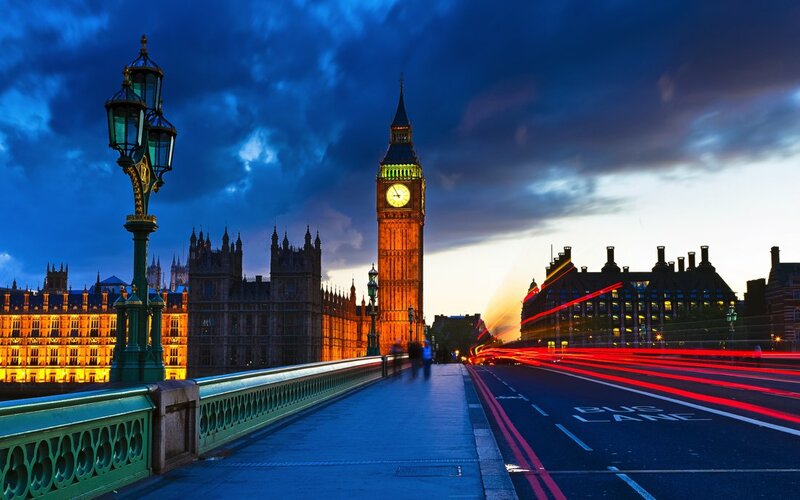 It’s a fascinating country with the perfect mix of modern technology and traditional culture. Japan is rich with beautiful landscapes, historic sites and opportunities for both urban and outdoor adventures. The best part though is the people. The Japanese are some of the kindest, most respectful people we have ever met on our travels. They were always willing to lend a helping hand, even with the language barrier. It was refreshing to be able to travel around a country and feel safe the entire time. 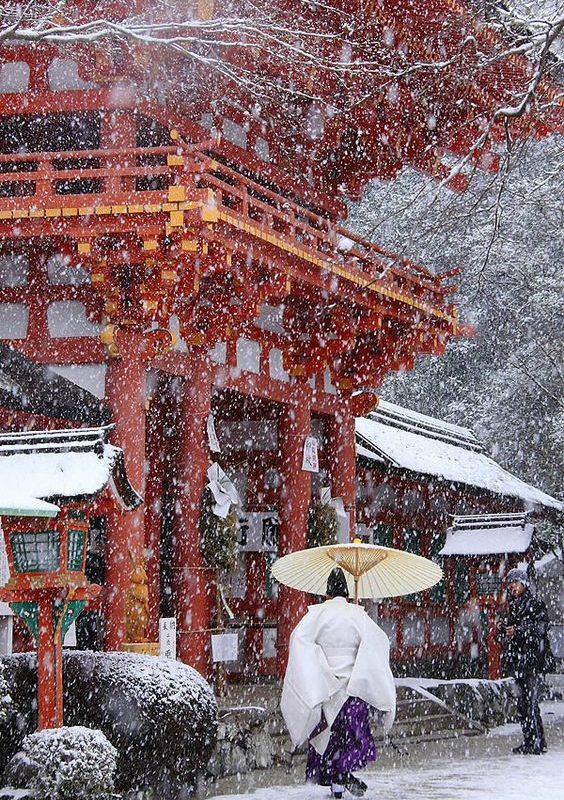 *Top Attraction* – Miyajima Island was our favourite place in Japan, with Koyasan and Kyoto not far behind! Why I love this place – Outside your hotel window you see monuments, mosques, minarets, and churches, pebble paved streets, trams, people hurrying about and you’re trying to absorb everything in. You may gasp in wonder, you may frown at traffic, you may have questions on your mind but all you think about is heading out and experiencing its amalgamation of culture, ancient history, scrumptious food and some of the friendliest people you will ever meet. 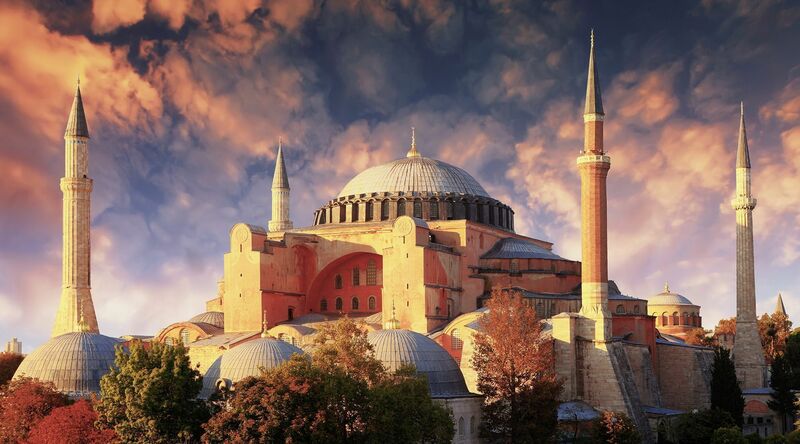 *Top Attraction* – Istanbul is dotted with amazing sites but the most intriguing for us was the Basilica Cistern. Check it out and you’ll know why! Why I love this place – There are so many awesome things to explore in Seoul, and this is what makes it one of my favourite cities around the world. Grab a metro ticket and explore this culture pot of a city. Sample Noryangjin Fish market in Namdaemun food Market – your belly won’t be left disappointed. And of course you have to try the Korean BBQ which is mouth-wateringly tasty. 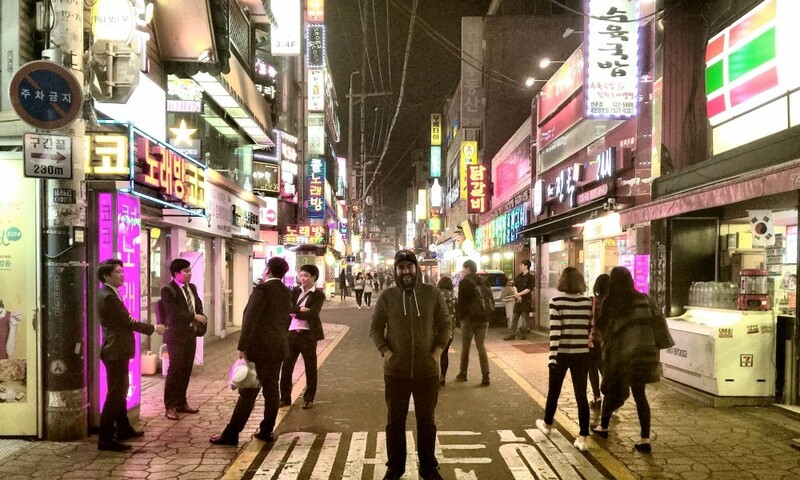 Seoul also has a fantastic nightlife. Be sure to find some locals, head out for beer and chicken, try some karaoke and hit the clubs in Gangnam region. You’re in for an incredible adventure. *Top Attraction* – You can easily get lost exploring the grounds of Gyeongbokgung. It’s like going back in time and the area has loads to do. Be sure to spend a whole day exploring Gyeongbokgung. Find the best places to eat traditional Korean food among the back streets too. Why I love this place – I love this place because it’s a perfect mix of wonderful paradise beaches and little islands, beautiful nature and an interesting culture. 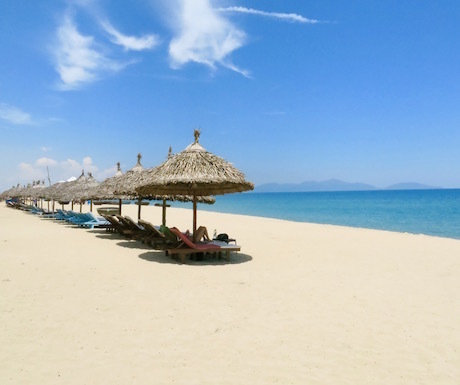 You can travel there on a backpacker budget but also enjoy a nice holiday in a luxury or boutique resort. Many places on Lombok – especially in the south and east – are still pristine and tourism is not yet developed everywhere on the island. 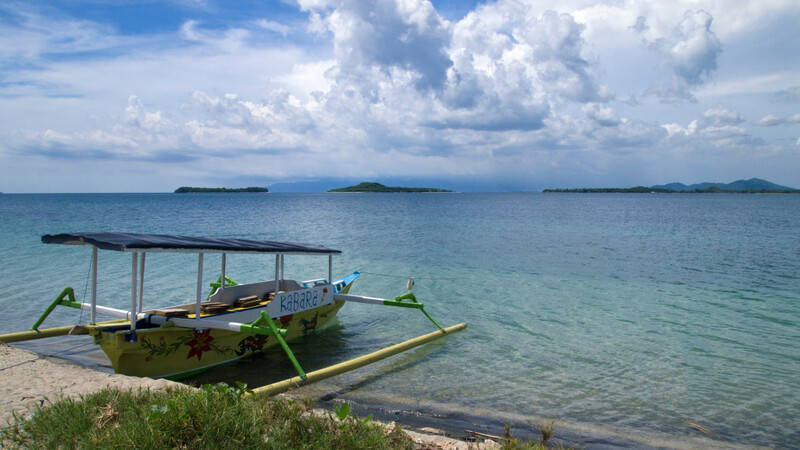 *Top Attraction* – Kuta and surrounding beaches, Sekotong, Gili Islands, East Lombok and Mount Rinjani volcano. 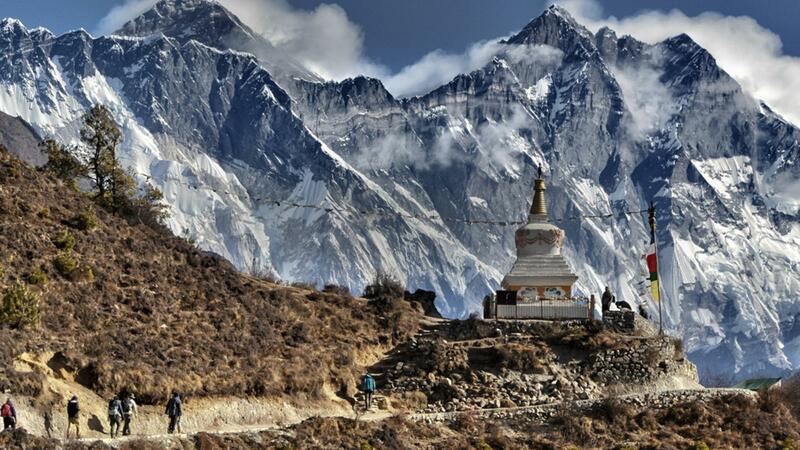 Favourite destination – Annapurna Circuit in the Himalayan Mountains of Nepal. Time of year visited – Mid-May, but this is a rather late time in the year to do this trek. We were lucky with our weather but in some years the monsoon starts around this time. The best times to do this trek is March-April or September to November. Why I love this place – This two-week trek combines incredible natural beauty with the Himalayan mountains with an opportunity to stay with local Nepalese families at tea houses in small villages all along the trail. It’s this balance between nature and culture that makes the experience so fulfilling, not to mention that going offline for this amount of time does wonders to clear one’s head and provide perspective on life. *Top Attraction* – Thorong La Pass at 5,416 metres (17,769 ft). This is the highest point of the trek, and is incredibly challenging physically and emotionally. Time of year visited – My first visit was in March 2003, and I have been back several times at different times of the year ever since. Why I love this place – From the moment you land at the modern airport and get the train into the city you feel like you have arrived at a truly world-class international city. The skyline on the harbour ranks as my favourite city view and its a great place to eat. 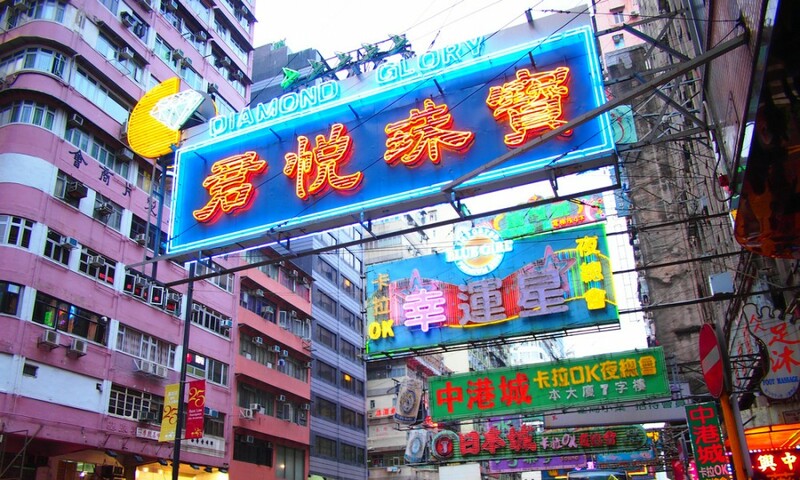 *Top Attraction* – Victoria Peak is the place to go to get that postcard picture of the city and harbour. I always go if I am with someone who is visiting for the first time, and the view never gets old. Why I love this place – Most people visiting South-East Asia may head to Thailand or Bali, but the word is slowly getting out about the Philippines. Skip the capital and head straight to the beaches and hidden lagoons of El Nido and Coron; with beautiful azure waters and dramatic limestone cliffs, the Philippines offers some of the best island hopping in Asia. Adventurous travellers enjoy its off-the-beaten-track places, while those seeking creature comforts head for the resort island of Borocay. 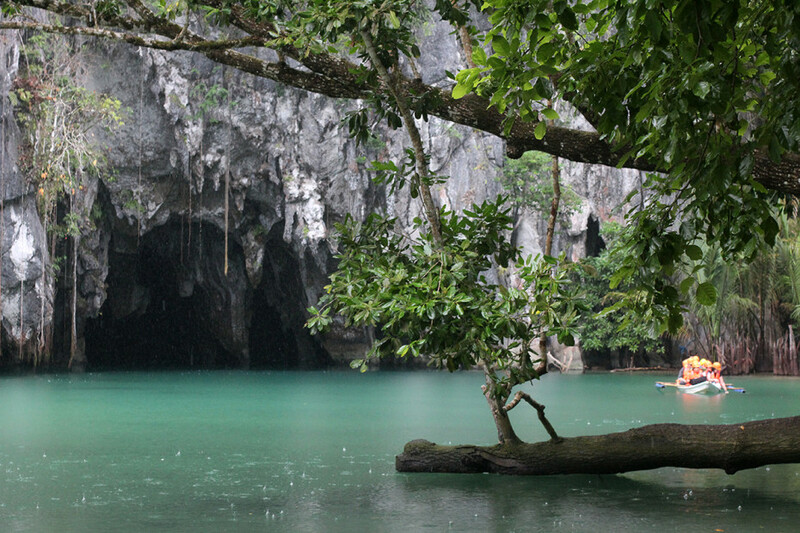 *Top Attraction* – El Nido on Palawan, rice terraces of Banaue, Bohol island. 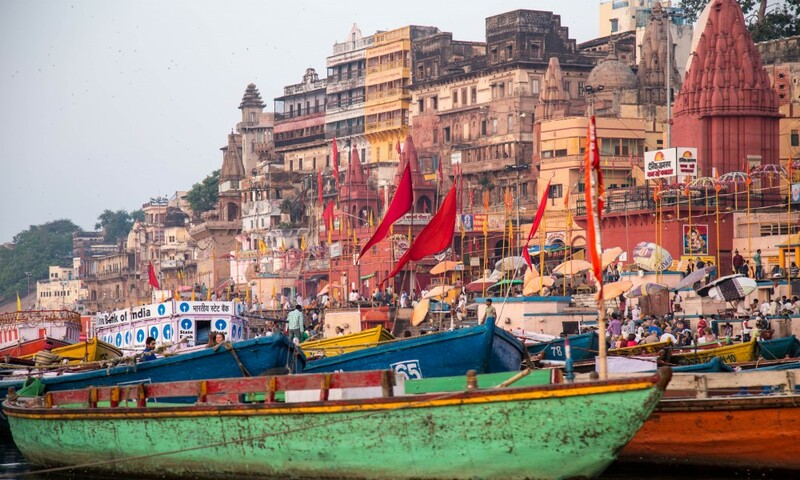 Why I love this place – Varanasi is the holy city of the Hindus, but I think even for non-Hindus it has got something very special. I loved the never-ending chaos, in-your-face colours blurring past you as you take a rickshaw, and the smells of incense trying to hide the garbage. Taking a boat ride on the Ganges at both sunrise and sunset is a must – the light is perfect in Varanasi, casting a gorgeous glow on everything. Why I love this place – I just love everything about India, the smells, the busy streets, the lovely people and the fact that it is so different from my own day-to-day life. Life in India can be hard but it also has so much beauty, and the food is the best in the world! *Top Attraction* – I love northern India, especially Dharamshala, the home of the Tibetan government in exile and the Dalai Lama in the foothills of the Himalayan Mountains. It’s a special place. 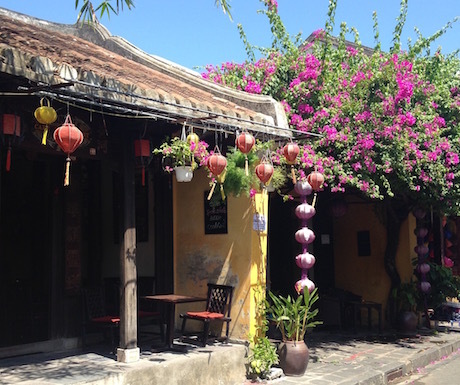 Why I love this place – Hoi An has great beaches, delicious local food and a rich history and culture. Wander the streets of the ‘Ancient Town’ and feel like you are stepping back in time as you walk along the riverside, passing old wooden shophouses, incense filled temples and bustling markets. Why I love this place – This was my first taste of tropical rainforest in Thailand. The landscape changed dramatically from the beautiful sandy beaches of the south to mountains and dense, wild jungle with a stunning reservoir in the centre. Imagine losing yourself completely in a place filled with extreme natural beauty. Why I love this place – Thailand has something for everyone: from lush hikes in the north to tropical beaches on the south. 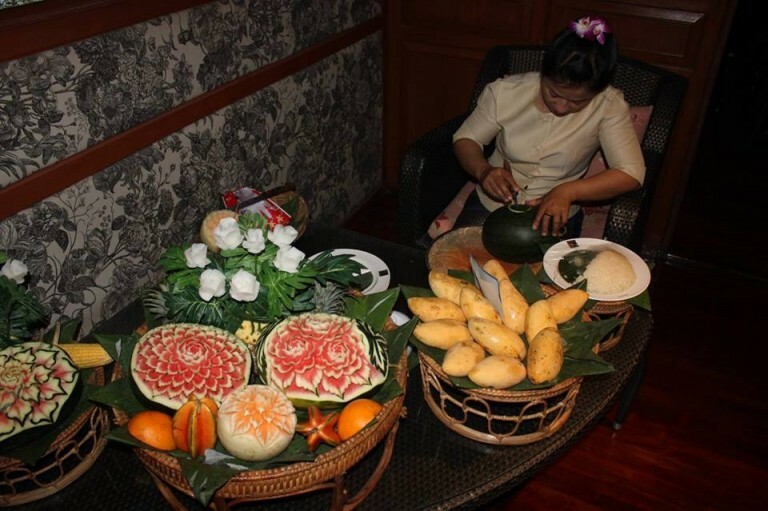 There’s an abundance of fresh fruits, friendly people, and provides great value for travellers. 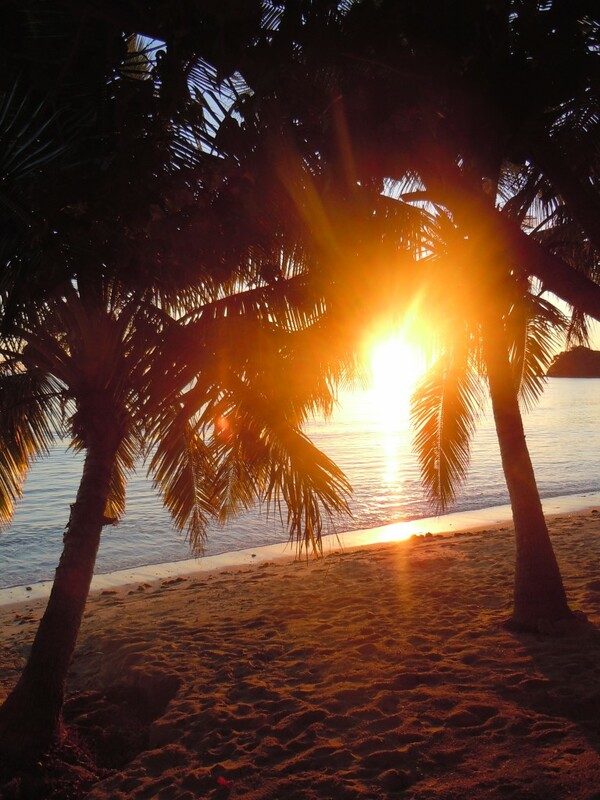 *Top Attraction* – Koh Tao and Koh Nang Yuan (both are small islands with excellent scuba diving options). 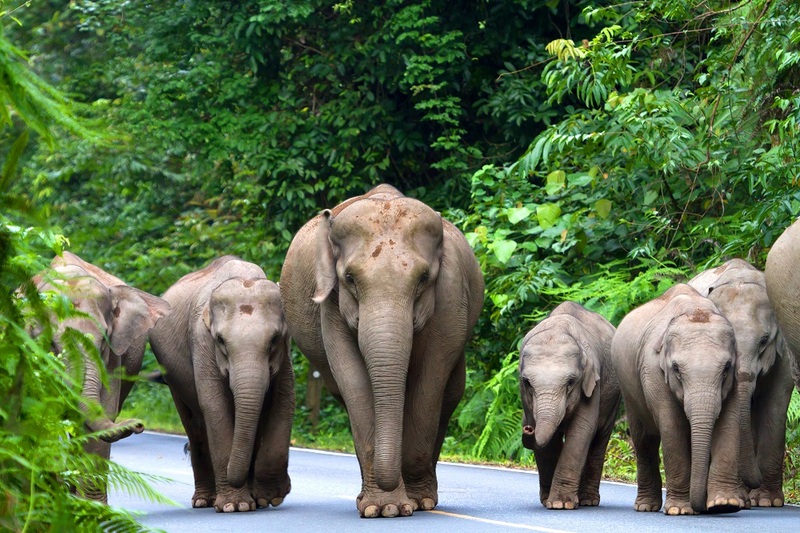 Why I love this place – I love EVERYTHING about Thailand. I have been many times and to other countries in Asia and, for me, Thailand wins every time. I love the climate; the incredibly varying landscapes, ranging from the crazy hustle & bustle to the thickest of jungles and most serene of beaches; the kind-natured, honest and generous people; the unbelievably tasty and fresh food; the eye-watering cheapness of luxury; the many elephants and, last but not least, the #coconutlife. *Top Attraction* – This is a tough one as there is so much to do and see there but potentially a real Thai cooking class, where you go with the organisers to the market to buy your fresh produce first thing in the morning and then cook up a storm with local Thais in a borrowed home – you won’t believe their knife skills! Favourite destination – Without a doubt, the ancient city of Inle in Myanmar is a must for tourists looking to experience an authentic destination that hasn’t been flooded. Time of year visited – November. But Myanmar is great to visit most times of the year. Why I love this place – Inle is a floating town that literally sits on a huge lake in central Myanmar. For hundreds of years, residents have lived their daily lives on the water. Where we have brick roads, they have waterways. Where we have cars, they have motorised canoes. Surrounded by a wall of mountains, it is a truly picturesque destination. A fully functioning town that cultivates the world’s largest floating market gardens, you will be in heaven exploring this unique and fascinating culture. *Top Attraction* – Take a hot air balloon ride over the lake, watch the famous longneck ladies weave, and witness the silversmiths practice their craft. *Top Attraction* – If you go deep into the Sahara Desert, to a pit-stop dusty outback town called Choum, you can hitch a ride on the longest train in the world. Each day the train transports iron ore from the mines in the interior of the country. 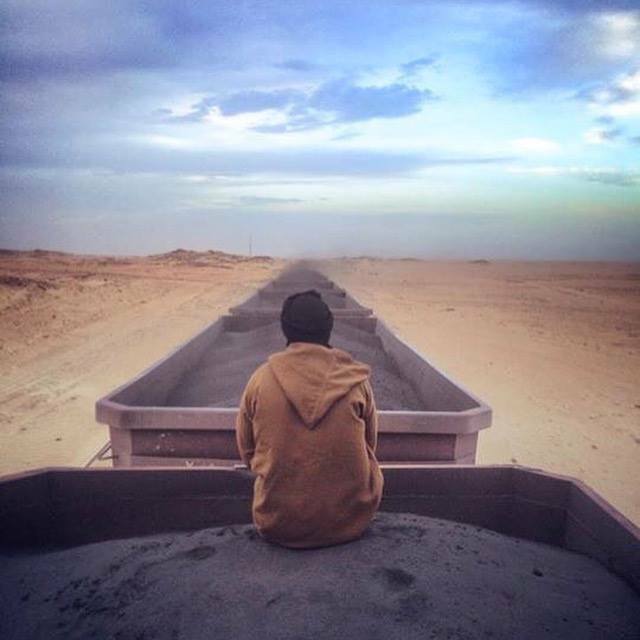 This travels from Choum, for seven hundred kilometres, where you sleep on top of the iron ore with the clear sky above you and the Sahara below you. A travel experience like no other. Why I love this place – The island of Mauritius, located in the Indian Ocean off Africa’s south-eastern coast, made a lasting impression on me with its vibrant blend of cultures and fusion cuisine, rolling hills and lush greenery, traditional Sega dancing, fields of sugar-cane and pineapple, and white sand lagoon beaches from our private bungalow at the highly recommended Four Seasons Resort Mauritius at Anahita. *Top Attraction* – Visiting the island of Ille-Aux-Cerfs off Mauritius’ east coast was a relaxing treat and a getaway for even locals themselves. I also enjoyed exploring Mauritius’ lush green interior landscapes and the Domaine de l’Etoile nature reserve. Why I love this place – It is hard not to be amazed by Mauritius, the tropical landscape and incredible beaches make almost every coastal point a perfect postcard. Go to the east of the island for white sand beaches or the west for incredible contrasts of mountains, lush forests and mill-pond like seas. *Top Attraction* – Pretty much anything on the water, there are countless opportunities to explore hidden beaches and spectacular marine life. 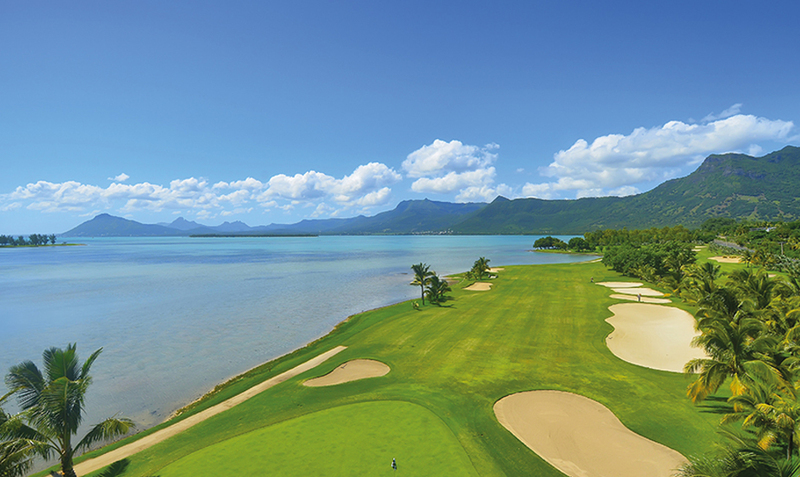 If golf is on the agenda, as it was for me, the likes of Belle Mare Plage, Le Touessrok, Anahita and Tamarina will provide an incredible golfing experience, in terms of resort golf, Mauritius is pretty hard to beat. 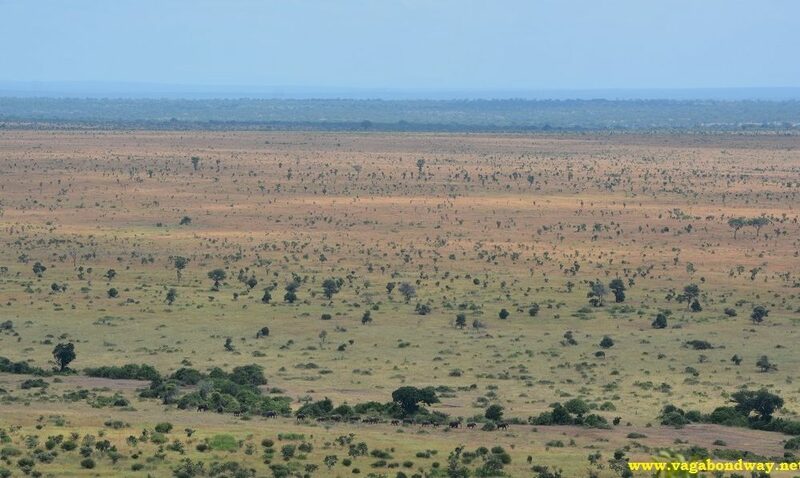 Why I love this place – I volunteered at Soysambu Conservancy helping animals and working on wildlife conservation projects. It was incredible to drive around the conservancy each day and see African animals up close: giraffes, zebras, impalas, warthogs, and even lions. It was a very rewarding journey working on anti-poaching projects and monitoring the endangered Rothschild Giraffe. *Top Attraction* – Sleeping in a treehouse at the Soysambu Raptor Centre. 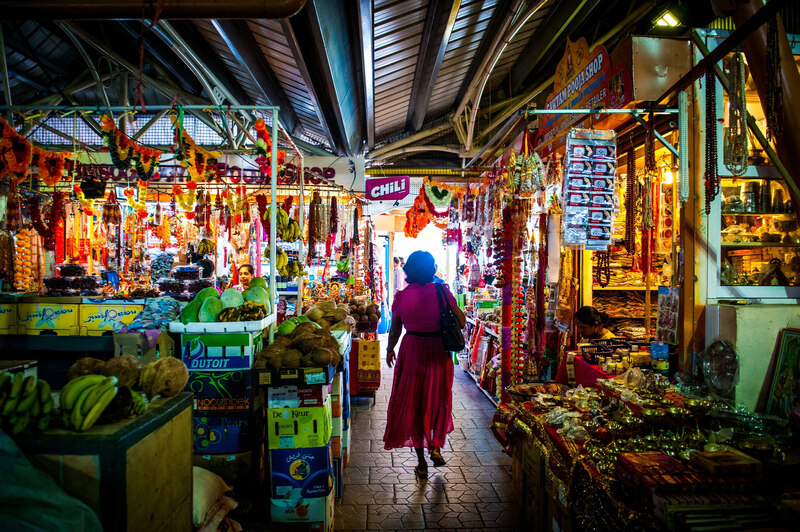 Why I love this place – Cape Town is one of the most interesting cities we’ve ever visited. 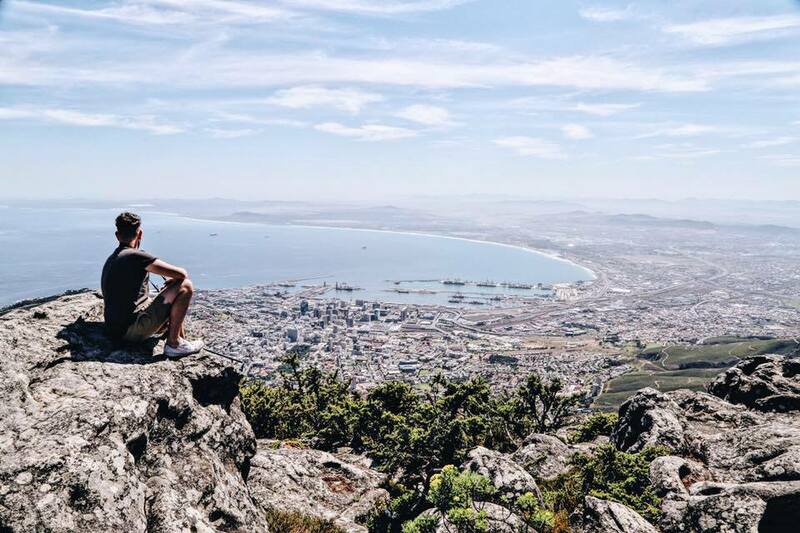 From; enjoying the live music on Long Street, Hiking Table Mountain for those incredible views and of course the award winning wine, there’s so much to see whilst in and around this wonderful city! Don’t forget to rent a car or a book an excursion to the Cape Peninsular, where you’ll experience the dramatic coastal landscape, spot a few whales and even make friends with some of the local penguins on Boulders Beach. *Top Attraction* – Head to Muizenberg Beach and discover some of South Africa’s white sandy beaches, famous coloured beach-huts and some of the best surfing spots in Africa. Why I love this place – The ease of travel, beauty and wildlife of South Africa blew me away. My husband and I rented a car, bought a parks pass and spent a month exploring South Africa. The landscapes and ability to see so many animals up close made this a trip I would take again and again. 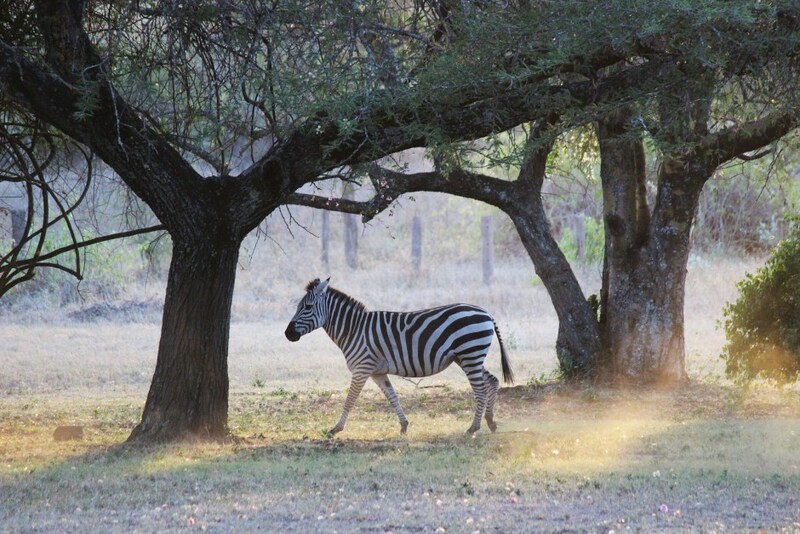 *Top Attraction* – Two of my favourite camps to stay at were Skukuza and Lower Sabie. 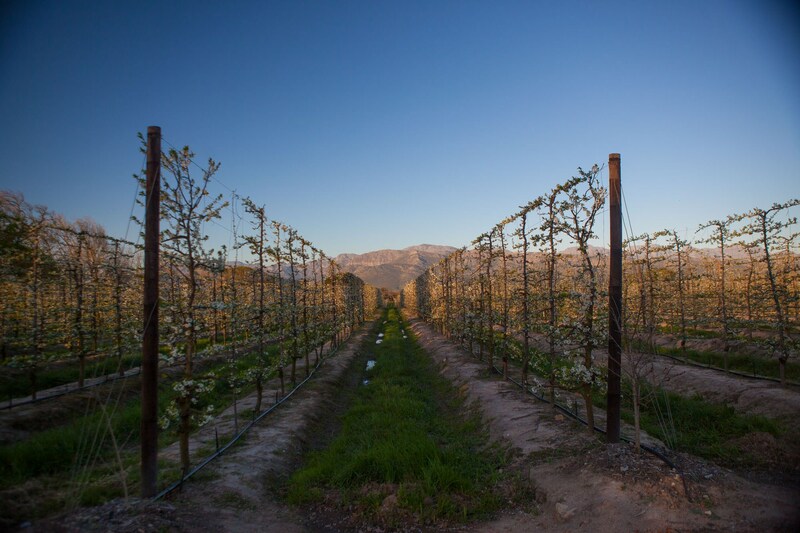 Why I love this place – I’ve learned on my travels around the world that wine grapes tend to grow in the most spectacular destinations, and the Cape Winelands in South Africa are a perfect example. Fields of vines and charming farmhouse wineries against a backdrop of mountains makes for the most beautiful scenery, and then of course you get to try all the wine! I went there on my honeymoon, which was blissful. *Top Attraction* – Babylonstoren vineyard and farm is a gorgeous place to stay or even just visit for lunch or a stroll around the magnificent gardens. Its restaurant Babel is one of the best I’ve ever been to, serving meals made fresh from the garden. Time of year visited – I’ve visited Cape Town in the spring, summer and autumn months (note: the southern hemisphere seasons). Why I love this place – There aren’t many places in the world where I feel right at home from the moment I arrive. Cape Town lies at the southern tip of the African continent and is blessed with one of the most spectacular locations anywhere on Earth – backed by the iconic Table Mountain and fronting the blue expanse of Table Bay and the Atlantic Ocean. The scenery is simply breathtaking! 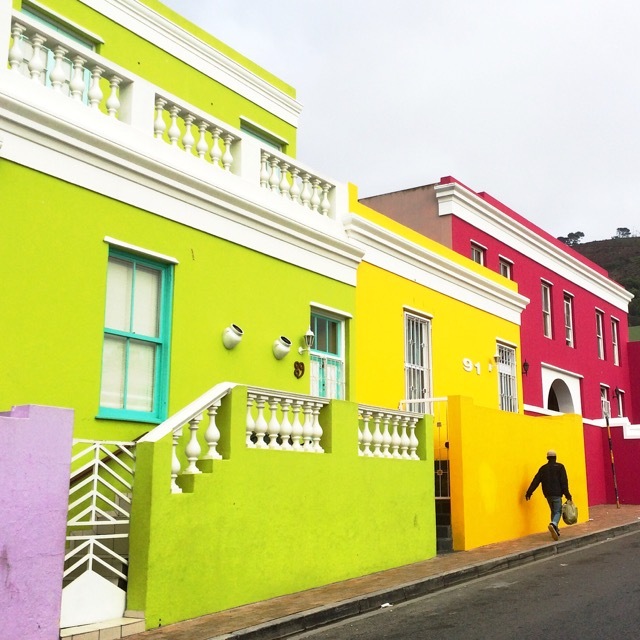 Add to that colourful neighbourhoods like Bo Kaap, gorgeous oceanside communities like Camps Bay, stunning accommodations and amazing food and wines! *Top Attraction* – There’s so much to see and do like strolling around the V&A Waterfront, visiting the Old Biscuit Mill, taking in the incredible view from atop Table Mountain, wine-tasting in the nearby Cape Winelands, going on a road trip around the Cape Peninsula/Chapmans Peak Drive and the Cape of Good Hope, visiting historic Robben Island, whale-watching and so much more. Why I love this place – Close your eyes and imagine paradise: tranquil turquoise waters framed by volcanic mountains, a lagoon abundant with tropical sea life with a turtle sanctuary, cocktails at sunset in view of Mount Otemanu, balmy nights with the ocean breeze carrying the sultry scent of exotic flowers. This is Bora Bora, Tahiti, my favourite travel destination. 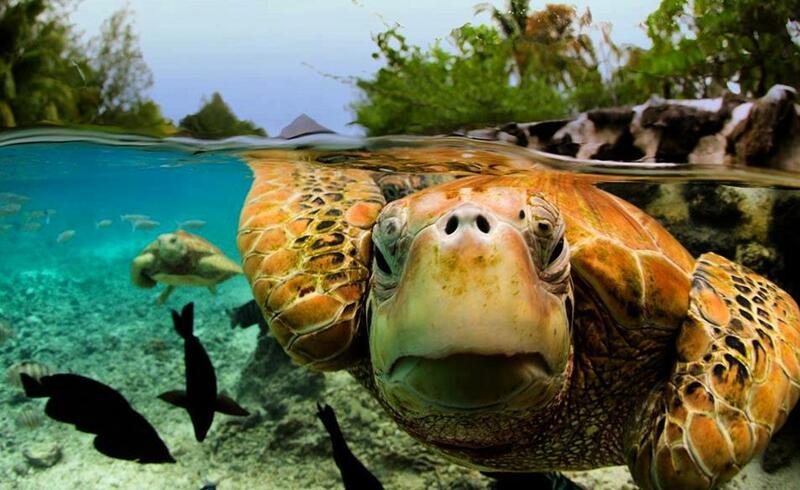 *Top Attraction* – The turtle sanctuary at Le Meridian, Bora Bora. Favourite destination – If I absolutely had to pick one – and excluding my home city of London – I’d have to say Melbourne in Victoria, Australia. Time of year visited – I studied abroad in Melbourne from February-July in 2012. Why I love this place – It definitely holds a fair bit of nostalgia for me: travelling is as much about the feelings you associate with a place and the people you meet as the destination itself. 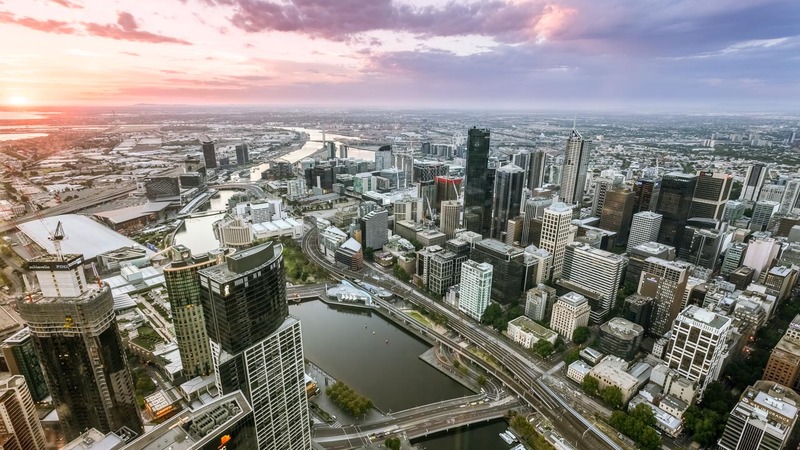 Melbourne is a lively city, a perfect mix of typically laid back Australian attitudes, beaches and good weather (usually…) and an edgy city vibe with amazing street art, cafe culture and a great bar scene. Awesome day/weekend trips like the Great Ocean Road are a huge plus, too. *Top Attraction* – Honestly, Melbourne is all about walking around and stumbling across things, whether that’s a laneway full of street art or a brunch place. I also have a soft spot for Brighton Beach (for the colourful beach huts) and St Kilda (for the atmosphere). 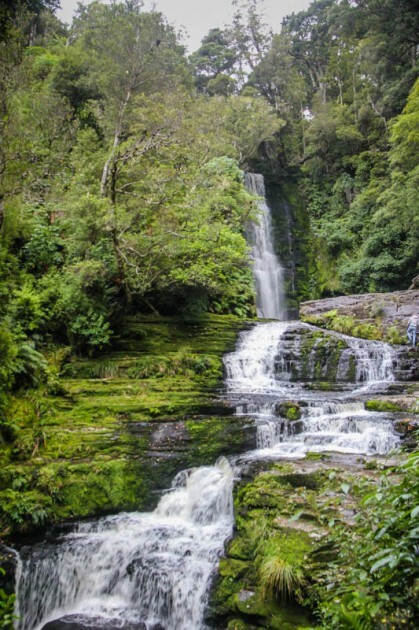 Why I love this place – New Zealand is an outstanding outdoor destination. There are many hiking trails and some of the most beautiful landscapes we have ever seen. It is also a hotbed for adventure activities like skydiving and bungee jumping. 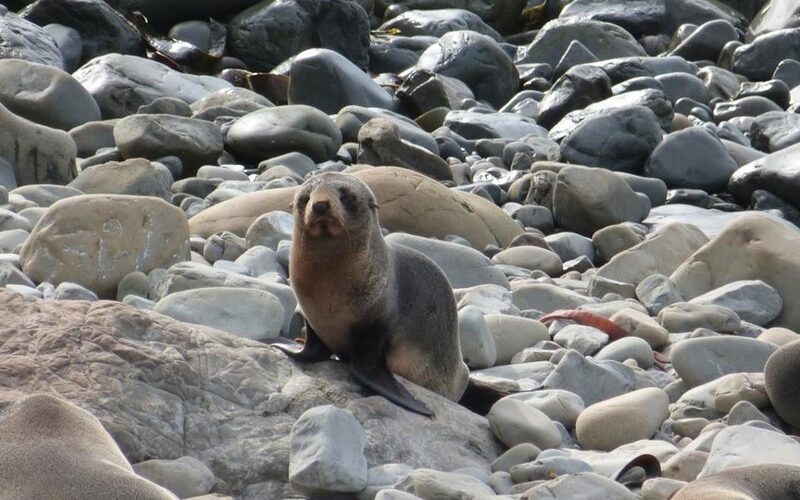 Both the north and south islands offer a diverse variety of things to do and see. You could spend months there. *Top Attraction* – The Tongariro Crossing is a right of passage for any hiking lover on a visit to New Zealand. Why I love this place – Queenstown in New Zealand is the place to go for adrenaline and adventure if you want to be surrounding by panoramic beauty and fresh environments in this corner of the world. The locals are funny, brilliant and they are also in the mood for a party too! Why I love this place – The Cook Islands have recently moved to the top of my list of favourite travel destinations. We picked the month of October to visit because it’s their off season — so flights and hotels go on sale during this time. 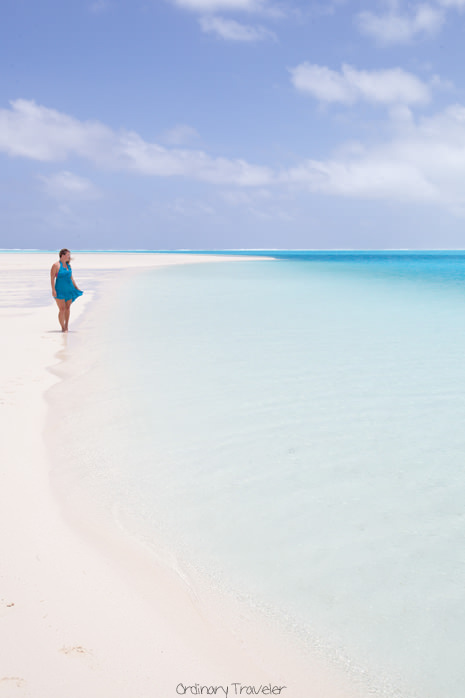 *Top Attraction* – The top attraction in the Cook Islands is One Foot Island, a tiny island in the Aitutaki lagoon. 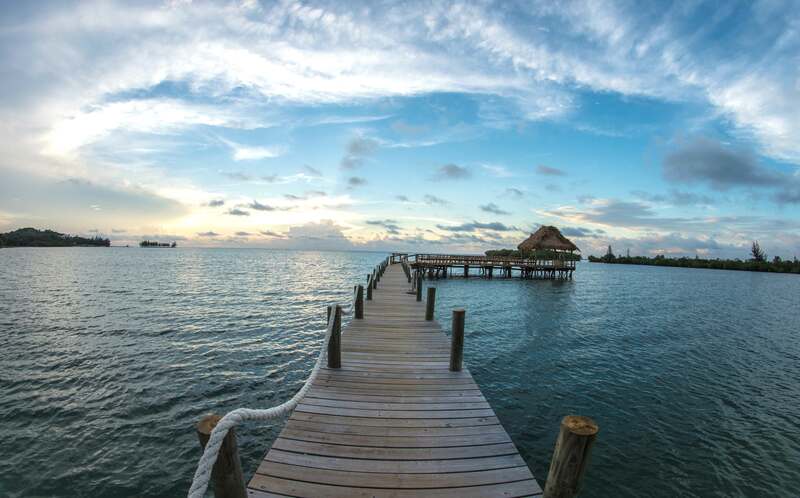 Several companies offer lagoon tours that include stops on this little slice of Paradise. The water is crystal clear, it’s an ideal place for snorkelling, and everywhere you look is another postcard-worthy view. 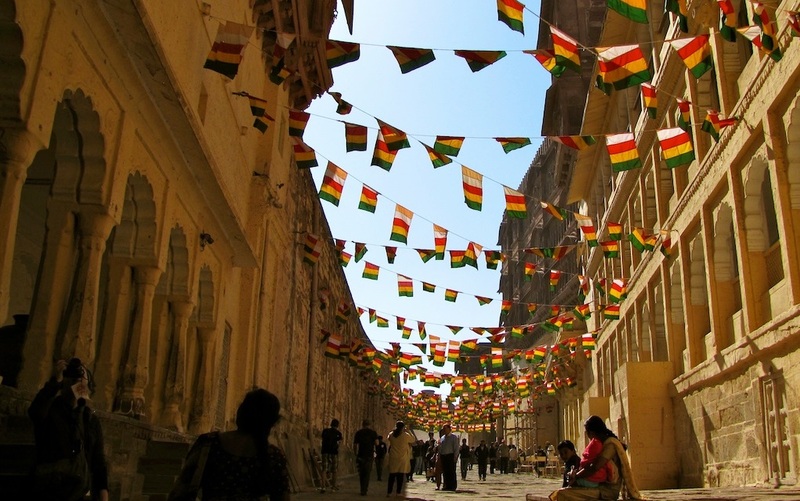 Why I love this place – Cultural exchange is the best way to see the world and immerse yourself in the local culture. 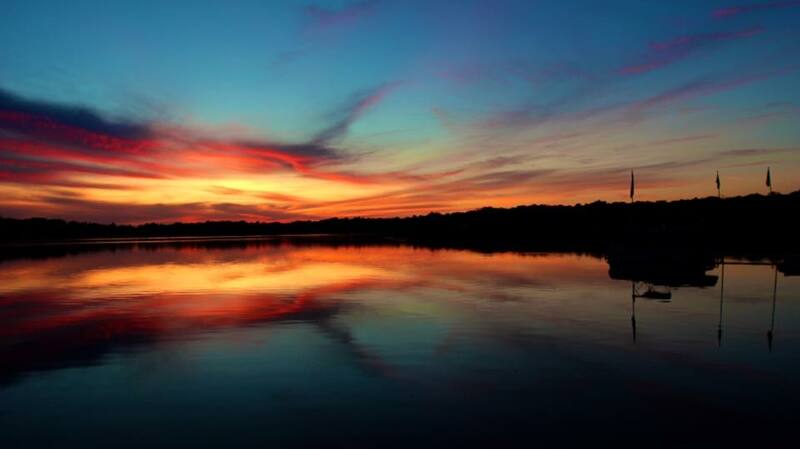 If you look beyond the corn fields of Indiana there is an amazing community surrounded by some of the best lakes in the world with the best sunsets to go with them. North Webster has provided me with life long friends and memories for life. Why I love this place – There is something magical about San Francisco, I can’t tell if it’s the weather, people or environment. I love photography so when I visit I’m in heaven, there is so much to see and do. The amazing restaurants and bars in such a dense area is also a plus. The hills of the city also lead to bay views in just about any area of the city which is beautiful. *Top Attraction* – On one trip we drove a few hours to Yosemite and I was blown away that it was only a few hours from the city, coming from the east coast the mountains and greenery stunned me. If you’ve never been to Yosemite I HIGHLY recommend it. Time of year visited – We were there for six months, from December to May. December is rainy season so it’s best to avoid it then. The rest of the year has a tropical climate with a nice sea breeze. Why I love this place – Roatán was one of the first places we ever visited on our travels. We were house-sitting in the jungle and spent our days learning to scuba dive and drinking Pirate’s Grog Rum. To this day it is still our favourite diving location and we loved the rum so much we ended up importing and distributing it in the UK. 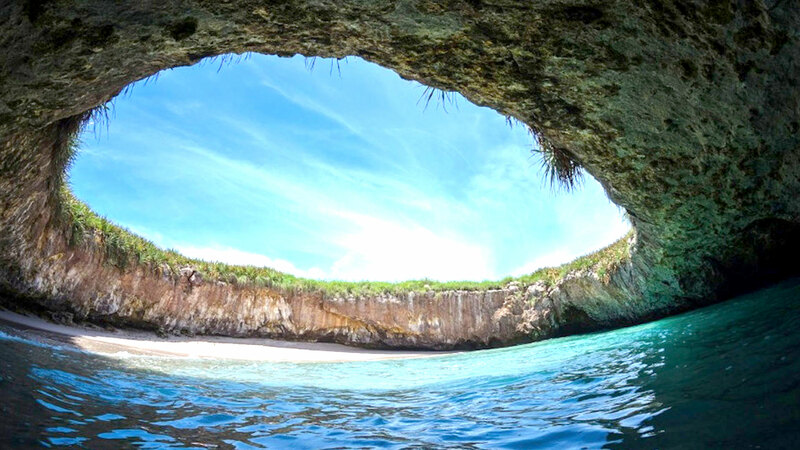 *Top Attraction* – If you like to explore under water, one of our favourite dive sites is called ‘Hole In The Wall’. But if you prefer to keep your feet on land head to the West End for beaches, bars and unbelievable Pirate’s Grog Rum cocktails! Why I love this place – When I visited the weather was sunny and temperate – a beautiful time of the year to explore the city. I was surprised by how quaint Mexico City’s neighbourhoods are, and how European the city feels. 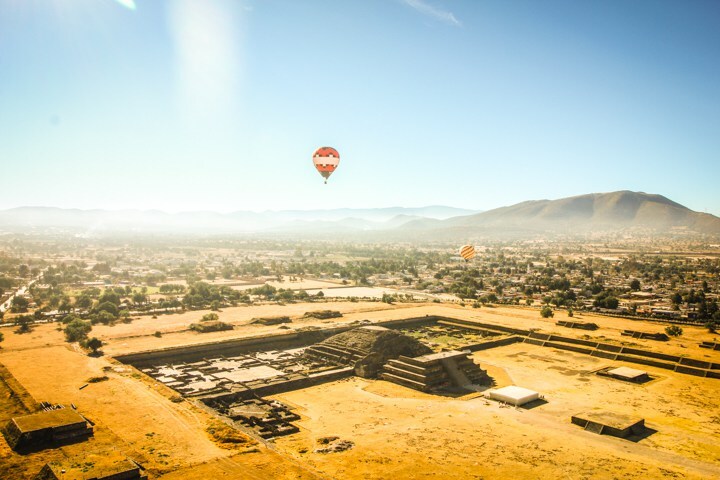 *Top Attraction* – I particularly loved visiting the Anthropology Museum, which showcases archaeological artefacts from Mexico’s pre-Columbian heritage. Why I love this place – Brianna and I absolutely fell in love with Caye Caulker for its super slow pace of life and its chilled Caribbean vibes. With no roads or cars but a bunch of beach bars, it is easy to lose yourself in the rum punch for a fair few days. *Top Attraction* – Snorkelling with manatees, sharks and stingrays, diving the Blue Hole (one of the world’s top dive sites). Why I love this place – For a Caribbean destination that combines an authentic, unspoiled charm with some lovely places to entice the stylish traveller, try St Kitts. Wander around the island capital of Basseterre stopping for a fresh juice and home baked cakes at The Gallery Cafe, and admire the colourful paintings from local artists. Drive around the north of the island calling in at the botanic gardens and batik workshop of Romney Manor, climb up to the impressive canons on Brimstone fort and have lunch at Arthur’s a newly opened beach bar on a black volcanic sand beach. *Top Attraction* – Stay in plantation house style at Ottley’s Plantation Inn and watch the sun go down at Salt Plage, cocktail in hand while listening to the live Reggae beat. 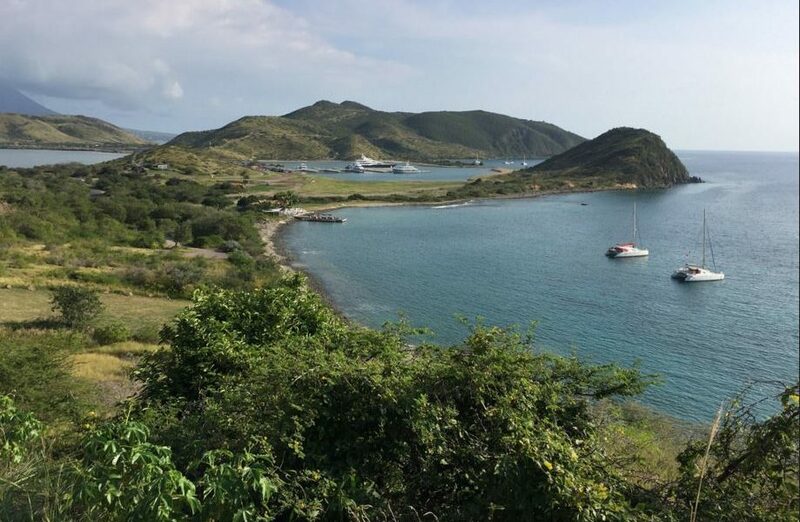 Look out for the island’s newest luxury hotel, the Park Hyatt opening later this year as part of the elegant Christophe Harbour development overlooking the St Kitts sister island of Nevis. 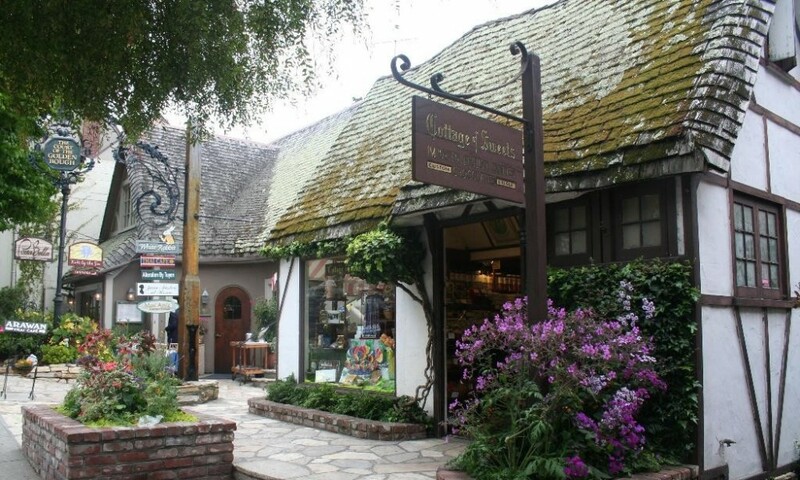 Why I love this place – I love Carmel because its a charming beach town with white sand beaches, fairytale cottages, fabulous restaurants, wine tasting and cute boutiques lining the village. My mum used to take my sisters and I for weekend trips growing up and we recently went back a few years ago. It was just as picturesque as it was all those years ago. It is the ideal retreat for those who want to escape and relax in beautiful surroundings. No matter the season, the beach is always great for picnics, long walks relaxing and playing with your dog! (Carmel is one of the most dog-friendly places in the US, another reason I love it). We used to bring warm clothes and stay on the beach all day long until the sun went down and then head for dinner at one of the great restaurants in the village. *Top Attraction* – Go to the Carmel Bakery on the way to the beach and pick up a few freshly baked giant pretzels for a picnic on the beach. They’re the best I’ve ever had. For a bit of history, drive to the beautiful Carmel Mission and take a tour of the museums and grounds. Visit the Monterey Bay Aquarium, it’s one of the best in the world. The otters, penguins, sting rays and jellyfish are must-sees! Why I love this place – Late April and early May is the ideal time to visit central California because the weather is ideal, crowds are light, prices are lowest, and baby animals were just born. A drive down Big Sur will almost certainly present migrating whales and playful newborn otters. *Top Attraction* – Big Sur coast, Carmel-by-the-Sea, and 17 Mile Drive. Why I love this place – I loved the warmth of the entire region – not only because of the temperature, (which is definitely a bonus when you are in the middle of winter in Canada) but from the people, and how friendly and helpful they were. The beaches and the beautiful landscapes; walking along the Malecon enjoying the boardwalk and all the wonderful artwork, as well as taking a boat ride to the enchanting cove of Las Cahetas. But we can’t forget the food – from gourmet eats to tacos & fish on the street, you can get everything – the food is so delicious and colourful; it certainly excites the senses of sight and taste! *Top Attraction* – The Rhythms of the Night excursion was wonderful and so entertaining – the boat ride alone was extremely fun – they have quite the crew! Then that was topped with the magic of the cove at night along with the wonderful show and dinner. 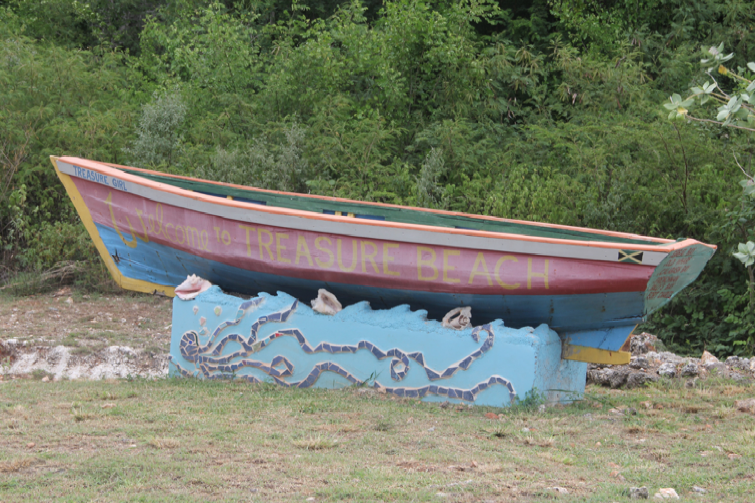 Why I love this place – Located on Jamaica’s rugged southwest coast, about two hour’s drive from touristy Montego Bay, Treasure Beach is a close-knit fishing and farming community with rocky coastlines, almost empty beaches and spectacular sunsets. Its unhurried pace slows you down but if you need to break a sweat, there’s swimming, snorkeling, and other activities. 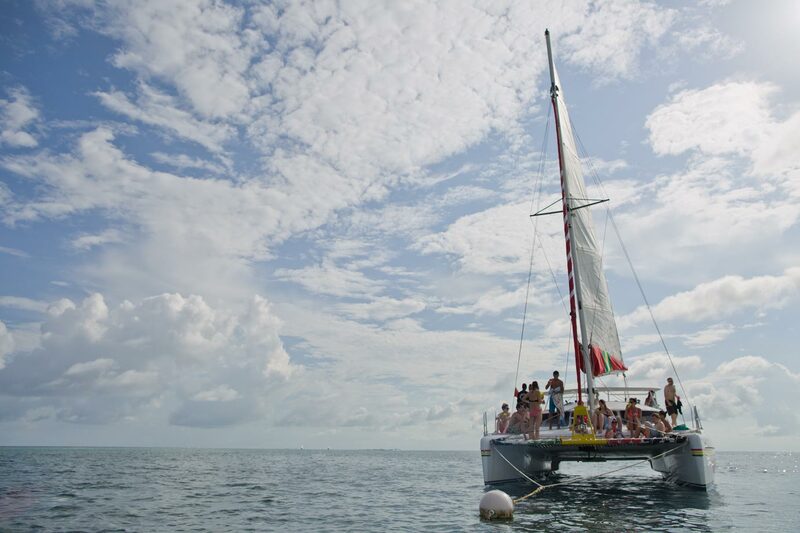 *Top Attraction* – Rent a boat and head out to Floyd’s Pelican Bar, which is located on a sand bank about a quarter of a mile from the coast for a Red Stripe beer or lobster lunch. Time of year visited – November and December are my favourite months. The temperature is perfect and it’s still lush and green from the rainy season. Why I love this place – I like it here so much that I bought a hotel! Lonely Planet correctly asks if Samara is ‘the black hole of happiness’. This beach is hard to beat. It is situated on a half-moon bay, with inviting water temperatures and swimmable waves. I’ve seen many busy tourists just melt right into a hammock and swear they’ll never leave. *Top Attraction* – The beach is where you’ll want to spend time and where plenty of the action (stand-up paddle, surf lessons, kayaking & snorkelling) is. Why I love this place – Patagonia de Chile is one of the few remaining bastions of truly unspoiled wilderness on the planet. Only opened up by gravel road in the 1980’s by former dictator Augusto Pinochet, Patagonia de Chile retains its humbling natural magnificence in every way – towering peaks on all sides, crystalline turquoise rivers and lakes; and vast, silent glaciers. 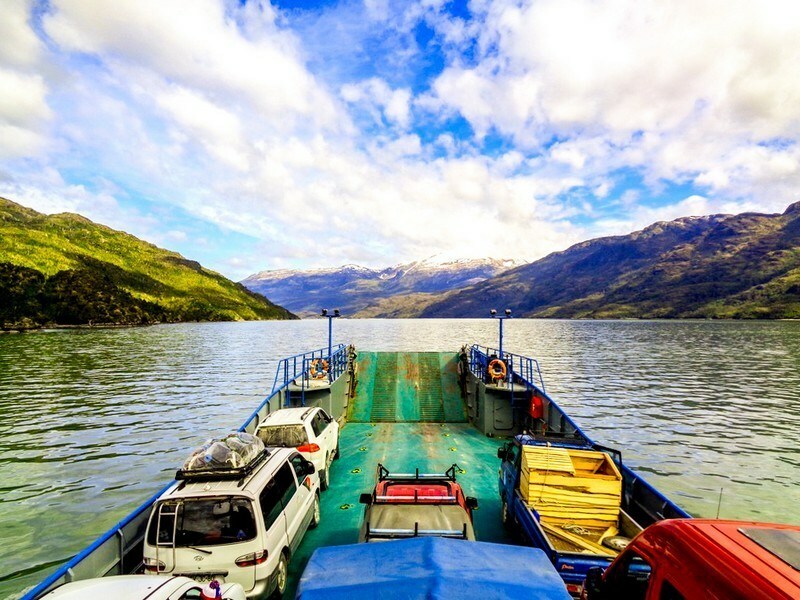 We hitch-hiked for about 1000kms along the Carretera Austral, riding in pick-ups, flat bed trucks, cars, ferries and even giant freight wagon, to reach our final destination, the end of the road – Villa O’Higgins. *Top Attraction* – Carretera Austral – Chile’s ultimate adventure! 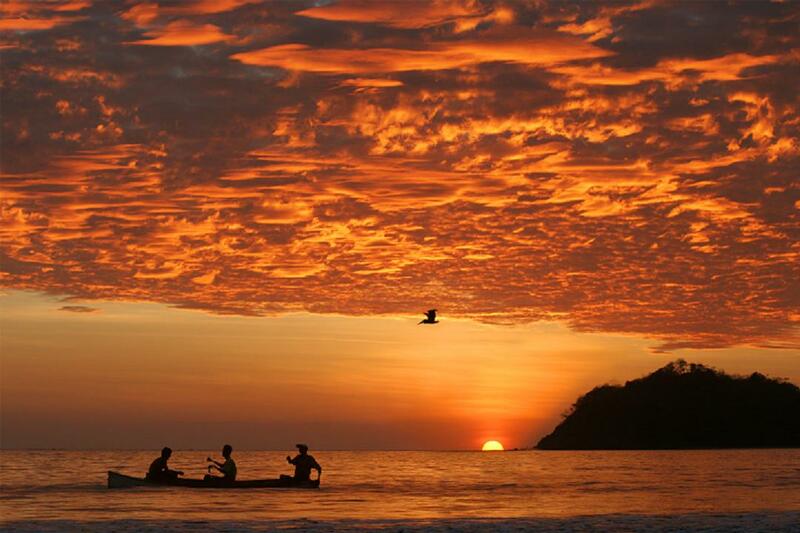 Why I love this place – Colombia as a whole was absolutely spectacular. The country itself is beautiful, and so varied that down every road it feels like a brand new country! But what really made me fall head over heels for Colombia was the people. I’ve never met such a genuinely and consistently lovely, welcoming and warm nation of people – and there is so much joy there! 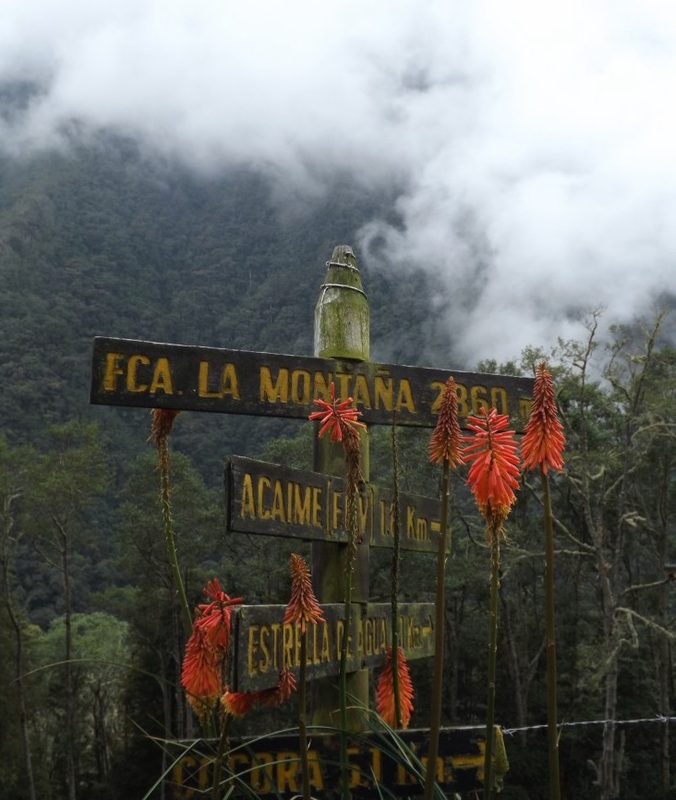 *Top Attraction* – Salento in the Andes mountains. 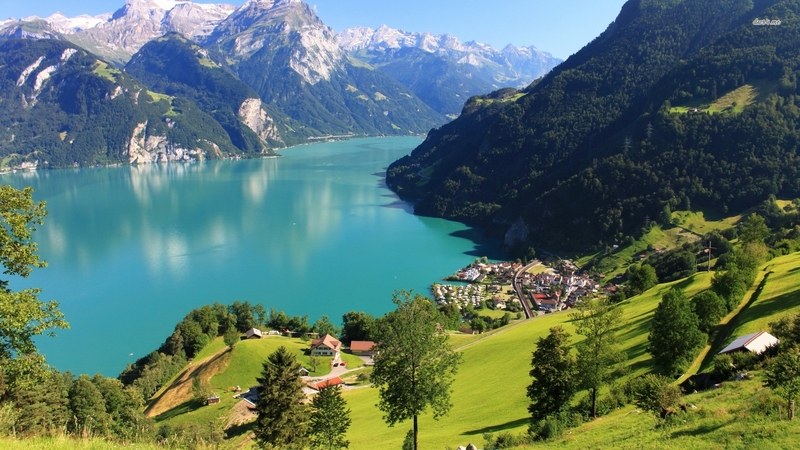 It’s a tiny, colourful town surrounded by rolling green mountains and waterfalls. Everything is draped in mist and from my hostel on the hill above town I could look down at clouds below me. I hiked through a lush, wet valley to reach a hilltop smothered in hummingbirds, and took a horseride through a beautiful misty forest. The pace of life there was wonderful, and the scenery was just spectacular. I still dream of going back! 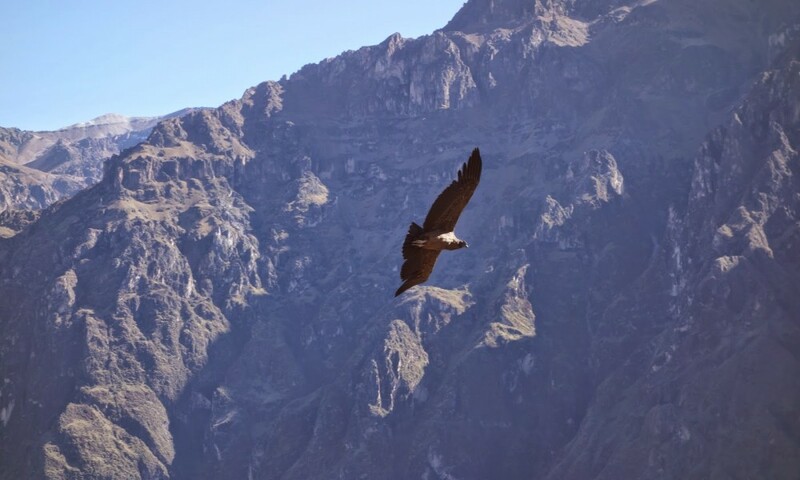 Why I love this place – I loved everything about Peru! There’s so much more to it than just Machu Picchu that people don’t know about yet. While I was there I did the Salkantay trek to Machu Picchu city, spent two days in the stunning Colca Canyon spotting condors, spent a week sailing down the Amazon river on a cargo boat where we spotted dolphins jumping in and put of the water at sunrise and sunset, went piranha fishing with a family who lived in a small Amazon community and even managed to fit in a week relaxing on a beautiful empty beach in northern Peru! *Top Attraction* – El Chino in the Amazon. It’s a tiny village in the Amazon about 4 hours away from Iquitos by motorised canoe. It was amazing to spend time with people living in such an incredible place! And so much better than just visiting the outskirts of the Amazon which are full of crowds. Why I love this place – Covered with dramatic glaciers, frozen mountains, and towering icebergs, Antarctica’s raw beauty is so intense; it physically and emotionally stops you in your tracks. The lack of human history has left the landscape pristine and the animals inquisitive. Penguins walk right up to you, seals do acrobatics around your kayak, and whales ride the waves of your expedition ship. This was the seventh continent on our 4-year around-the-world honeymoon, and it’s like no place on Earth. *Top Attraction* – Standup paddleboarding around the icebergs of Pleneau Bay. 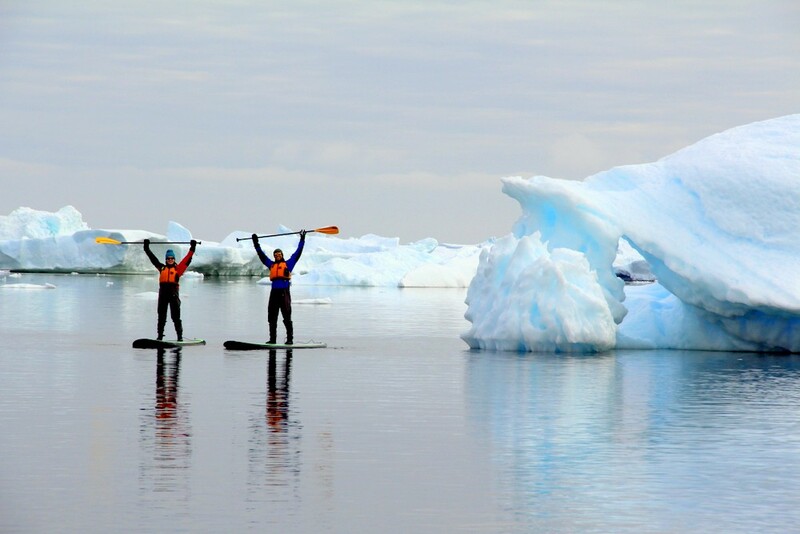 Standup paddleboarding in Antarctica engages your senses and connects you to the natural surroundings in an breath-taking way. Quark Expeditions is the only outfitter that offers this adventure sport, so we highly recommend them for anyone looking to visit the Frozen Continent! Thanks for including me, Lucy. 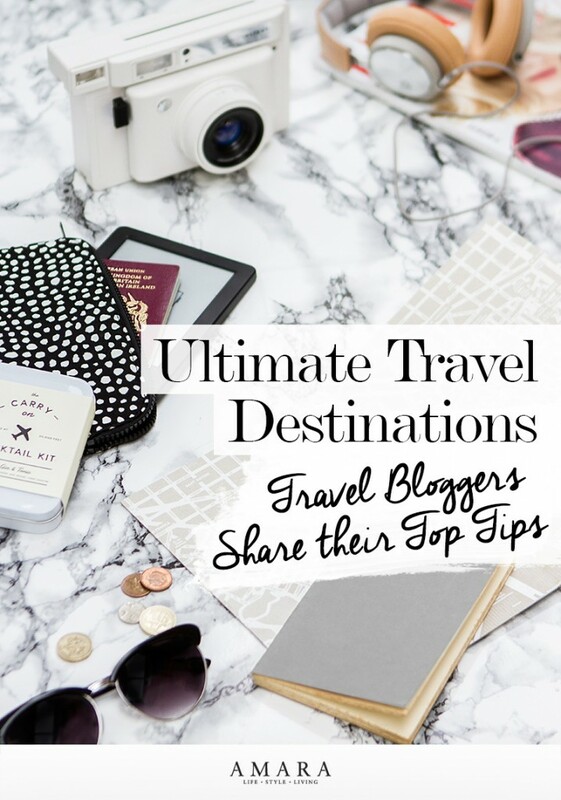 Can’t wait to visit some of the spots on this list.! You’re very welcome Brandon – thanks so much for your contribution! 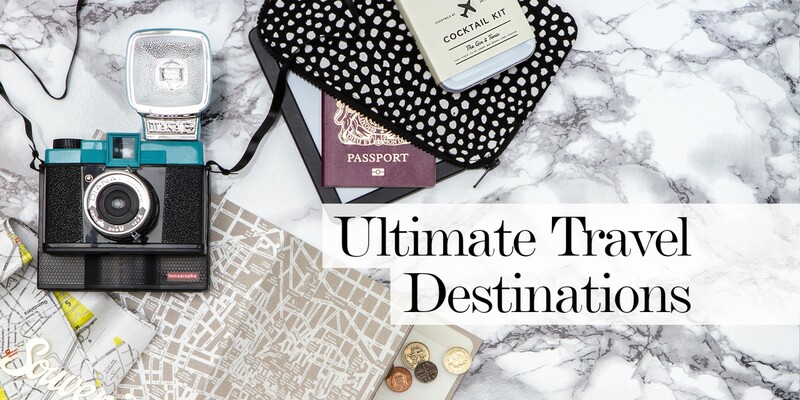 Wow, such fabulous destinations, Lucy, I need to pack my bags and go! Thank you for contributing Marcia. Me too – the tricky bit is choosing where to go! Fantastic round up post Lucy! There are some amazing destination on this list. The world is one big map to be discovered. Thanks for including me! Love reading everyone’s picks – so many places to see, so little time! Thanks for contributing Laura. 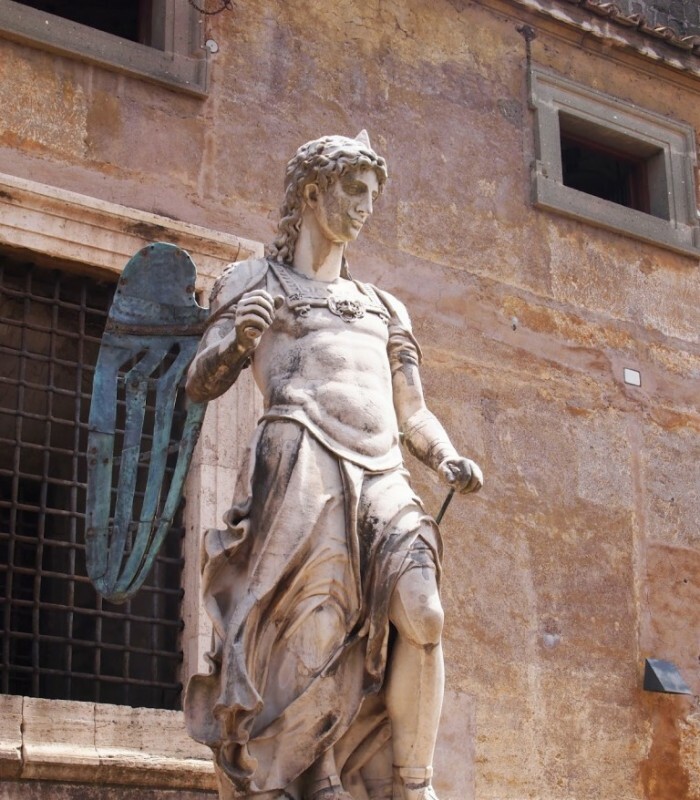 I think another trip to Rome is in order after reading your blog…! Thanks for helping us with the article Tiffany! I know – so much inspiration it’s difficult to know where to start! Thanks for being involved Rika! 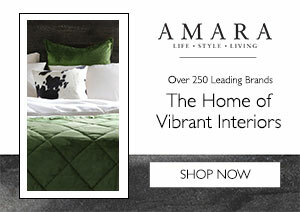 We’re delighted to have you! Thanks for your contribution! Great write up! So many more places to put on our list! If you’re ever looking for other contributions, we would love to work with you! Once again, great piece. Thanks for sharing! Thank you for the great selection. I am proud that Plovdiv is included in the list. If you go there don’t miss the Kapana district.